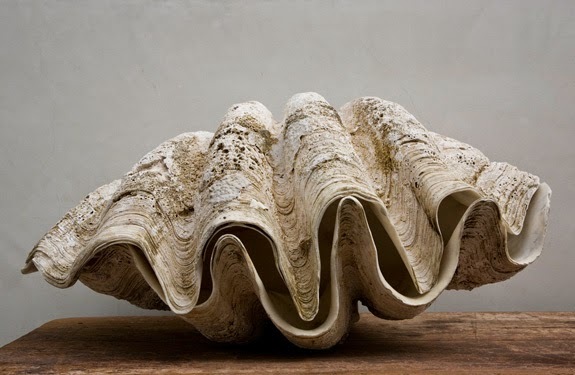 Fish scales, scallop shell edges, waves, all patterns and designs that find their way from the ocean to a variety of surfaces. 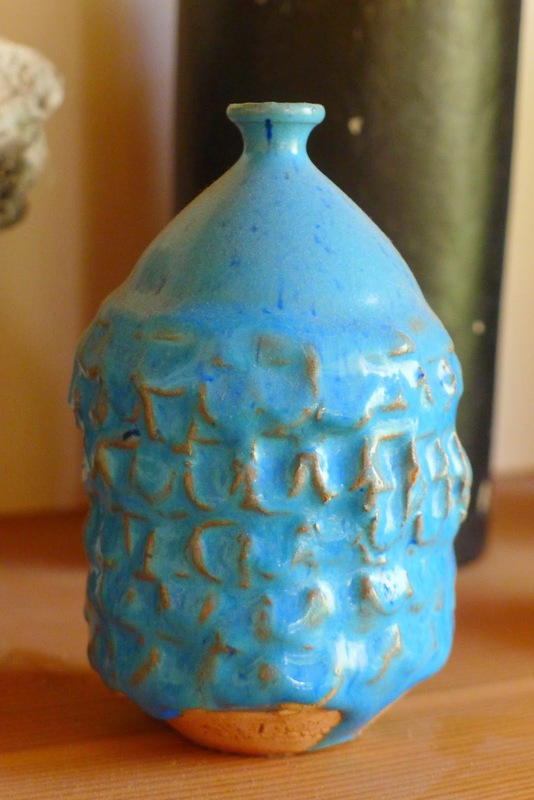 Here, a selection inspired by those watery themes. I took the photo above at Rincon beach. 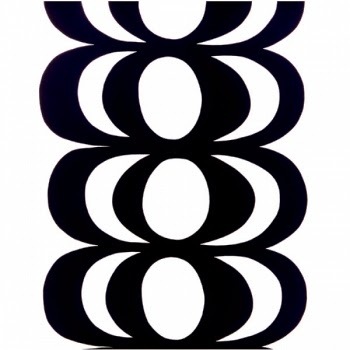 Above: Taken at Galerie Half. Finn Juhl designed the sofa. 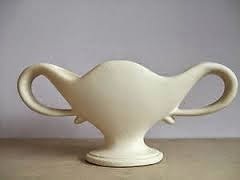 Above: Ceramic by Constance Spry for Fulham Pottery, designed in the 1930s. 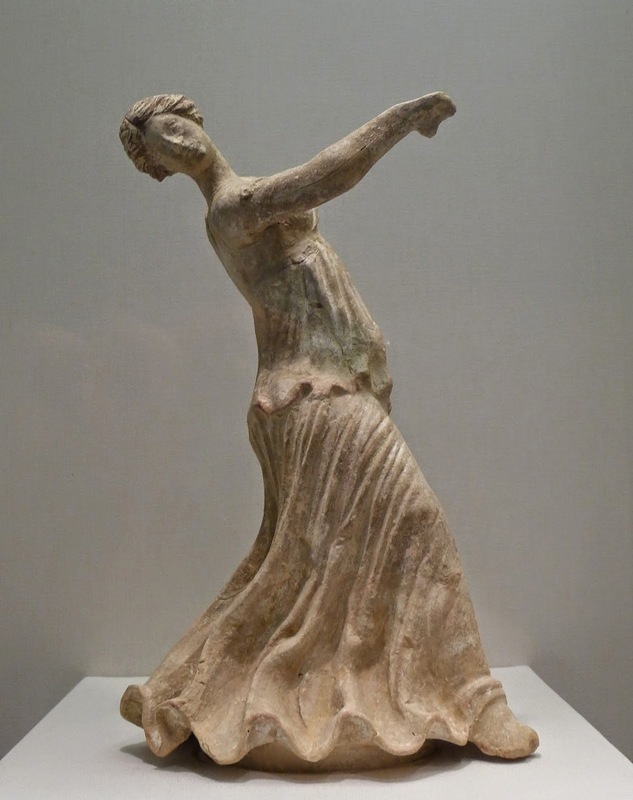 Above: I found this lovely dancing woman at the Legion of Honor in San Francisco. She's from Sicily, made of terra cotta, 2nd century BC. Her skirts look like rushing water. 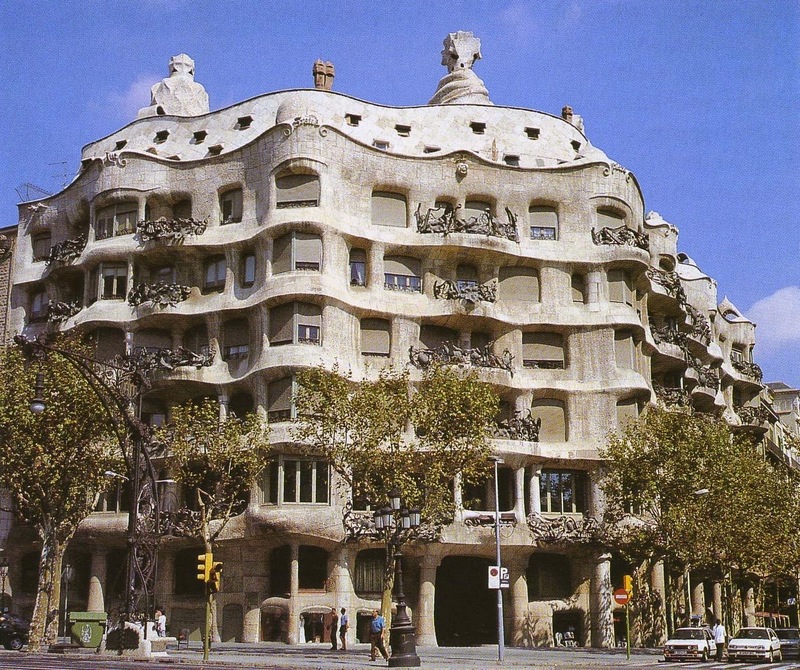 Above: Casa Mila by Antoni Gaudi, Barcelona, 1910. 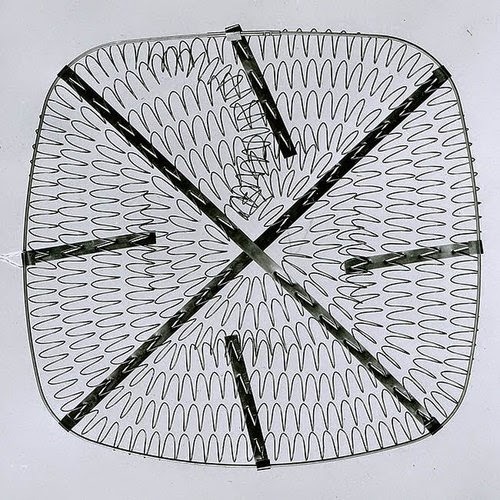 Above: via anonymous works, the inside of a chair seat. Above: A garden pavilion at Dumbarton Oaks, Washington D.C. 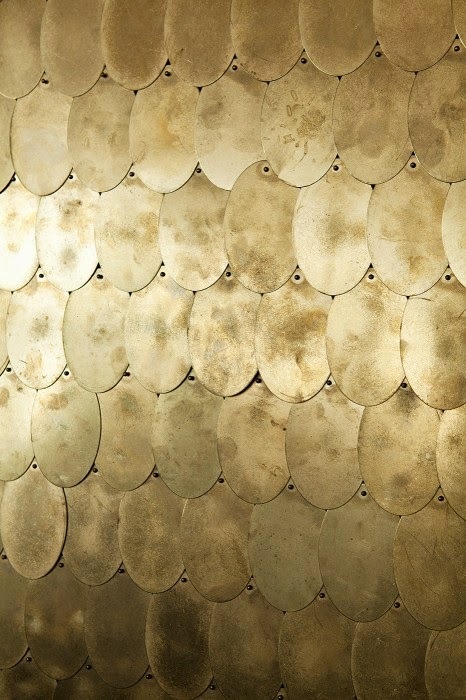 Above: At Erica Tanov's store in Marin, a wall is covered in overlapping brass discs. Photo by Mariko Reed. 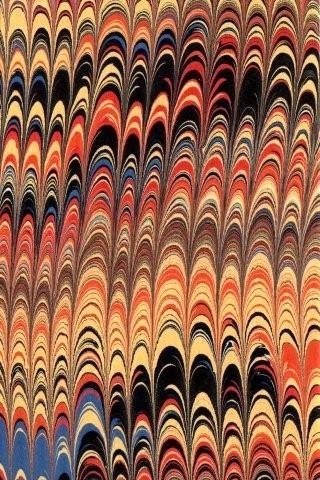 Above: Nest of wave like rings. 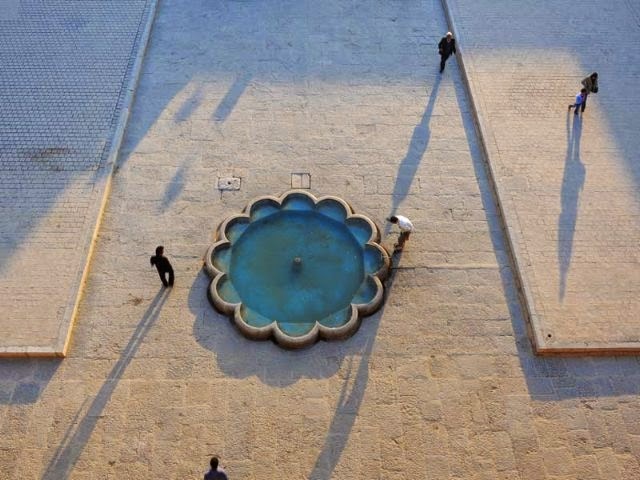 Above: Scalloped pond outside a mosque. 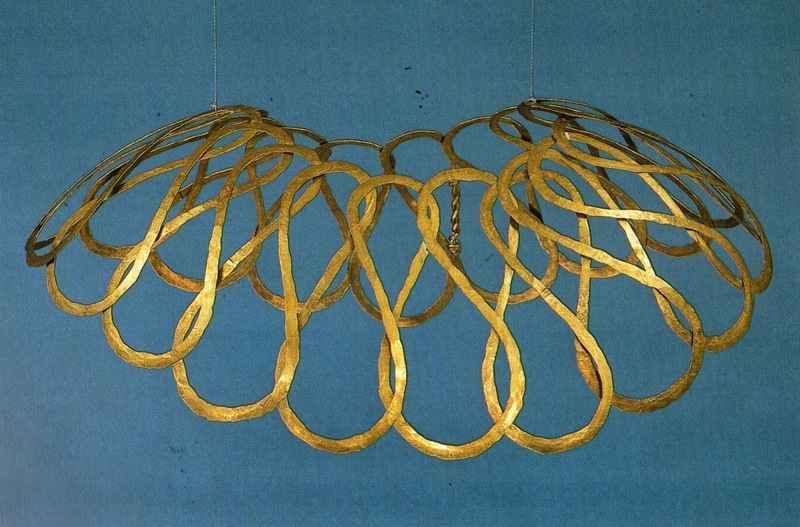 Above: Alexander Calder necklace, brass, 1938-39. 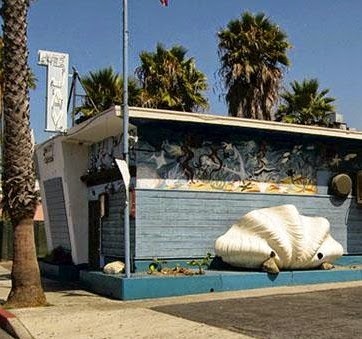 Above: Shell at Blackman Cruz. 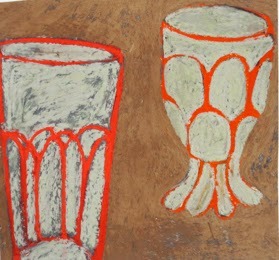 Above: By Los Angeles based ceramicist Doyle Lane (1925-2002). 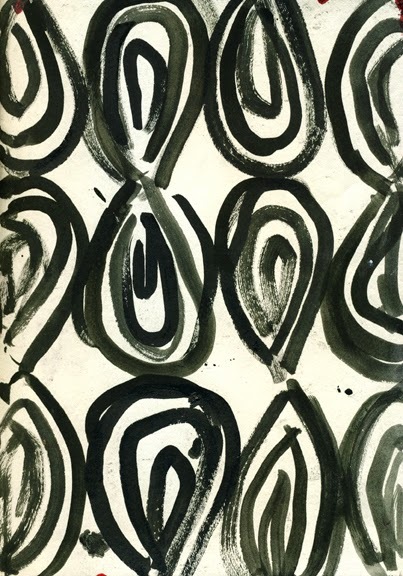 Reform Gallery has published a book about the Doyle Lane show they had recently. 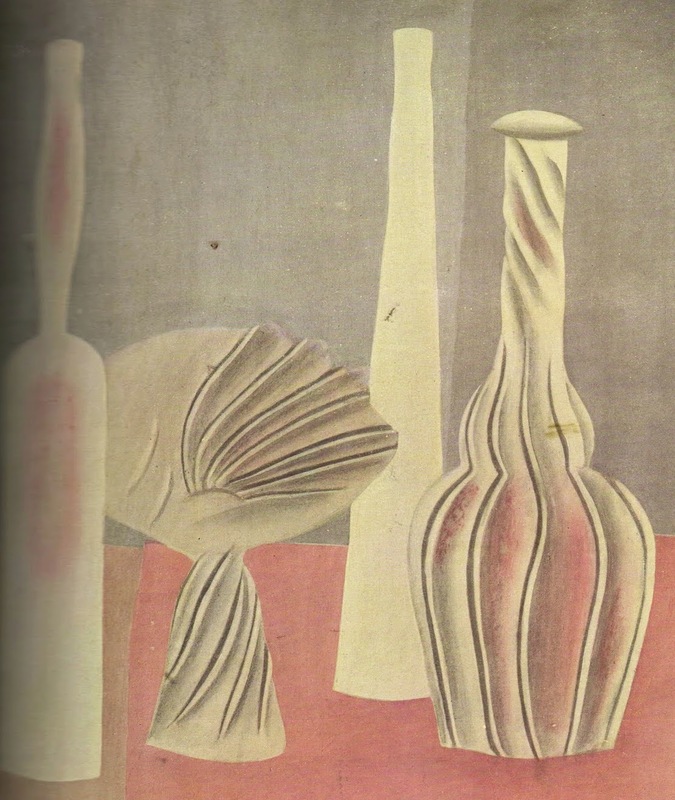 It's the only book about Lane, his life, and his work published to date. 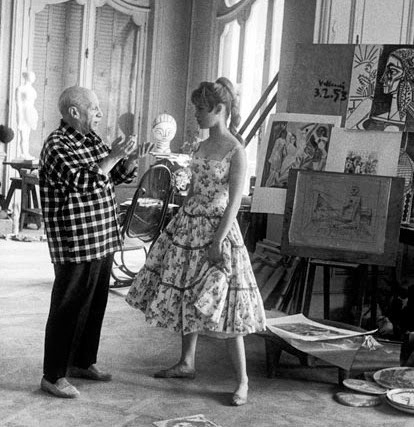 Above: Pablo Picasso and Brigitte Bardot, 1956. 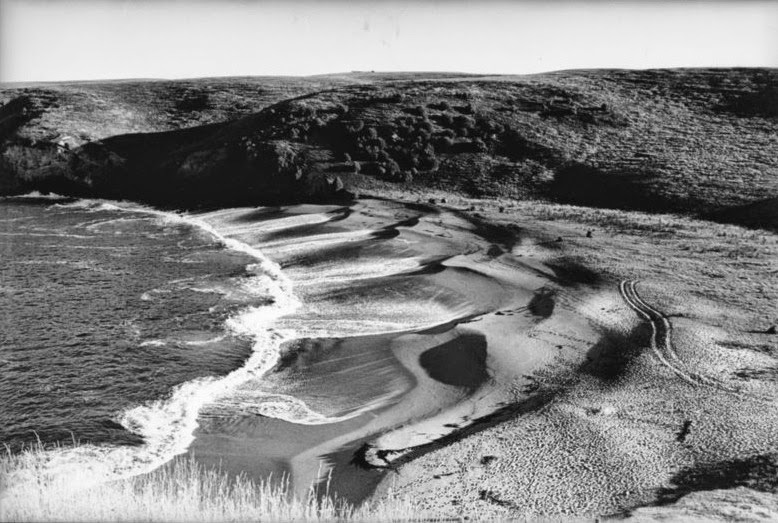 The skirt of her dress like a succession of waves on the sand. Photo by Jerome Brierre. 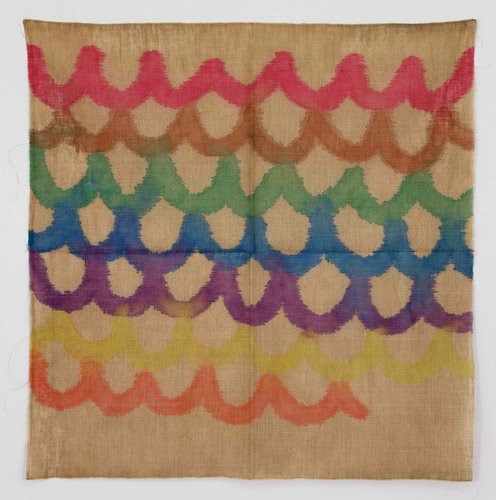 Above: From Leanne Shapton's New York Times series, "A Month of", this theme being Saturday Flea Markets. 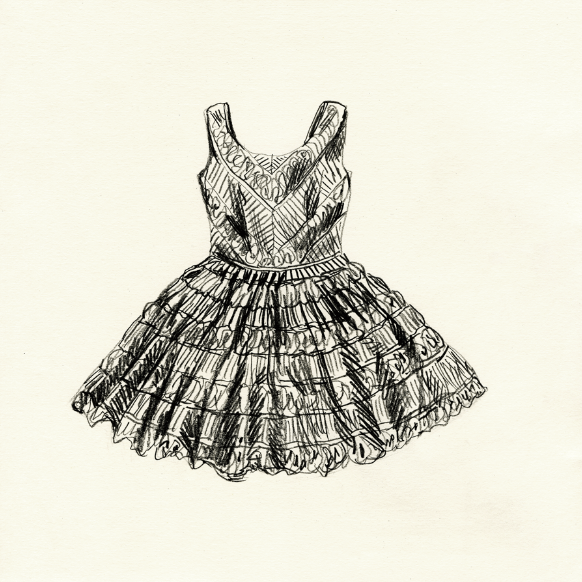 Here, a homemade dress found in Mallorca 7/16/05. 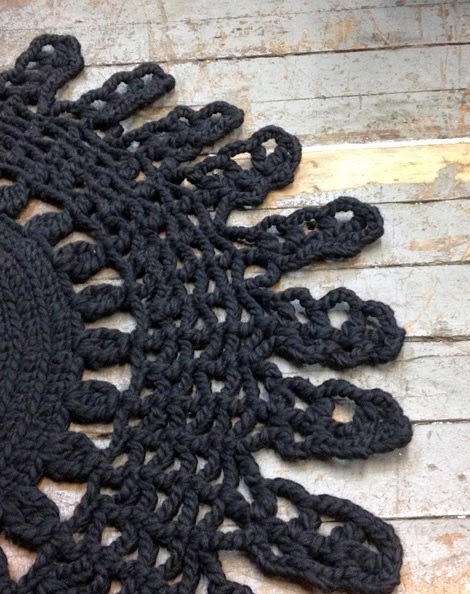 Above: Floor mat at Bartleby with a scalloped edge. 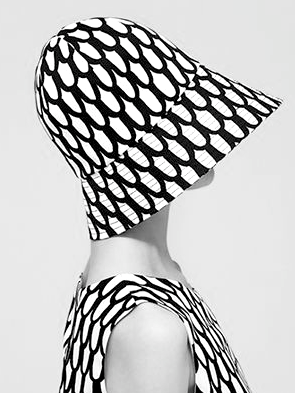 Above: Marimekko "Rautasanky" fabric, designed by Maija and Kristina Isola. 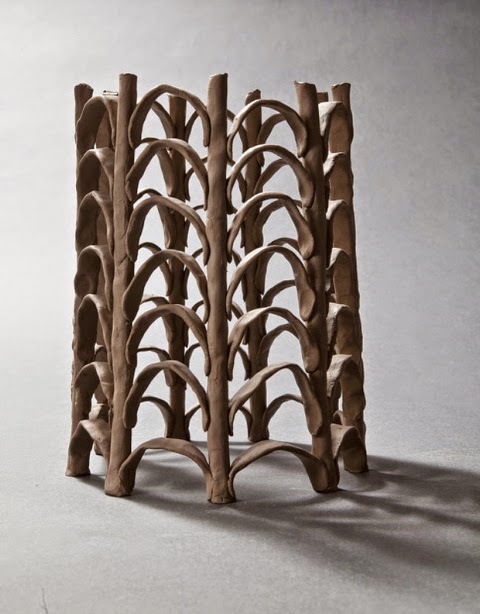 Above: Claire Muckian ceramic piece. 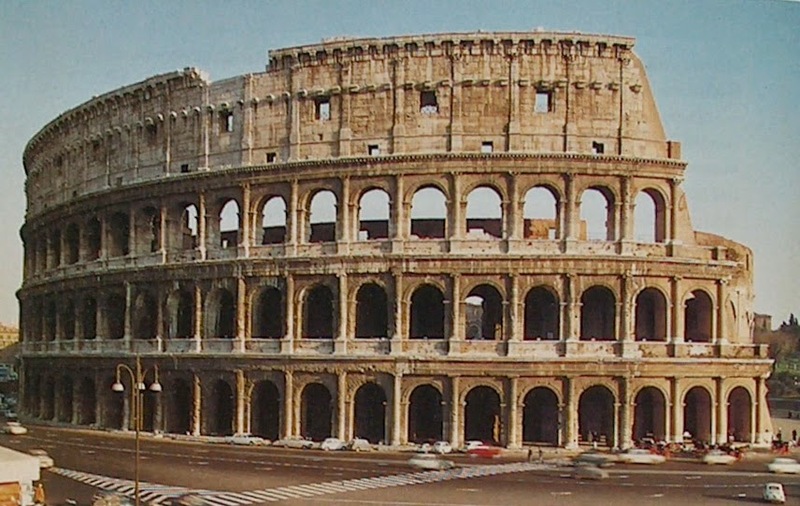 Above: The Roman Colosseum, 70-80 AD. 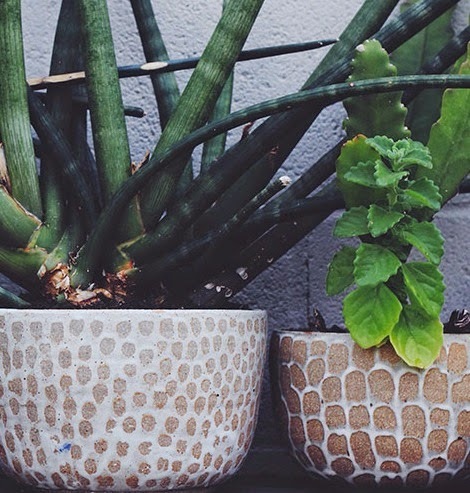 Above: Planters by Los Angeles based ceramicist Pilar Wiley. Photo by Jessica Maccormick. Above: Mosaic work at the Villa Kerylos with fish scale and wave patterns. 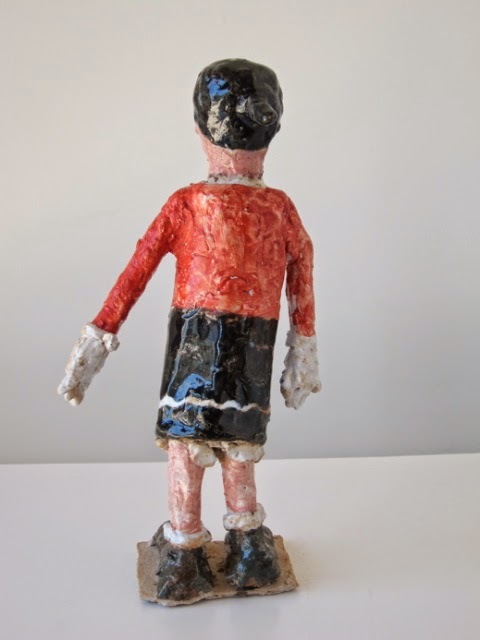 Photo by Stewart O'Shields from "The Bath". Above: Frank Lloyd Wright's Marin County Civic Center. 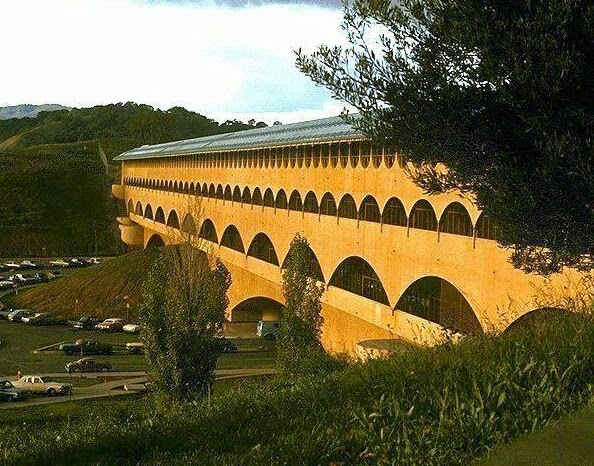 This was his last commission, and his largest public project. Groundbreaking began in 1960, a year after Wright's passing. 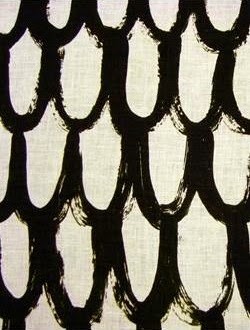 Above: Leanne Shapton pattern painting "Loops". 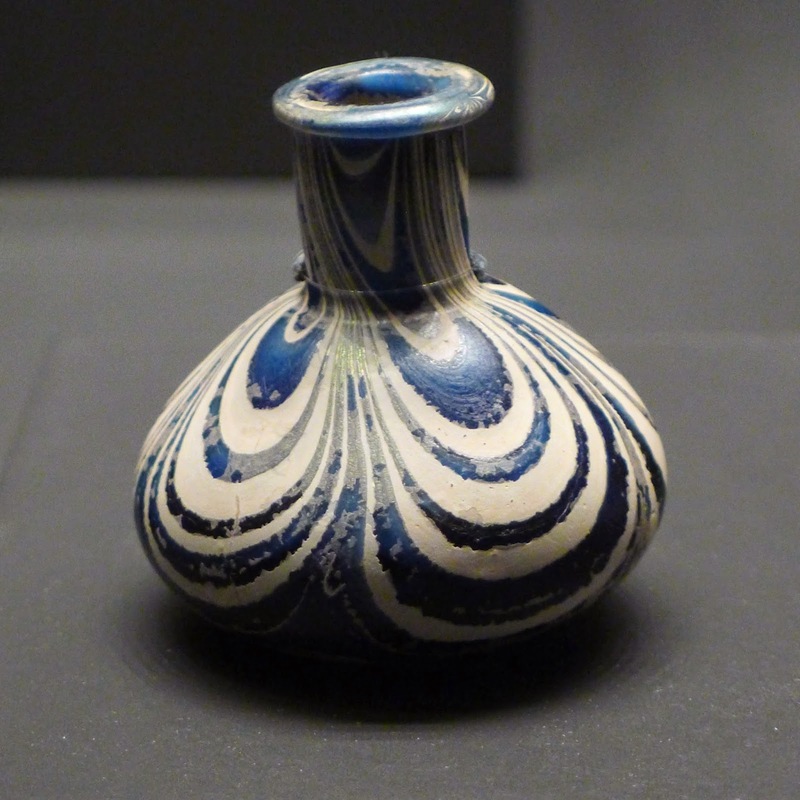 Above: Taken at the Getty Villa in Malibu, a Roman glass flask from 1-100 AD. 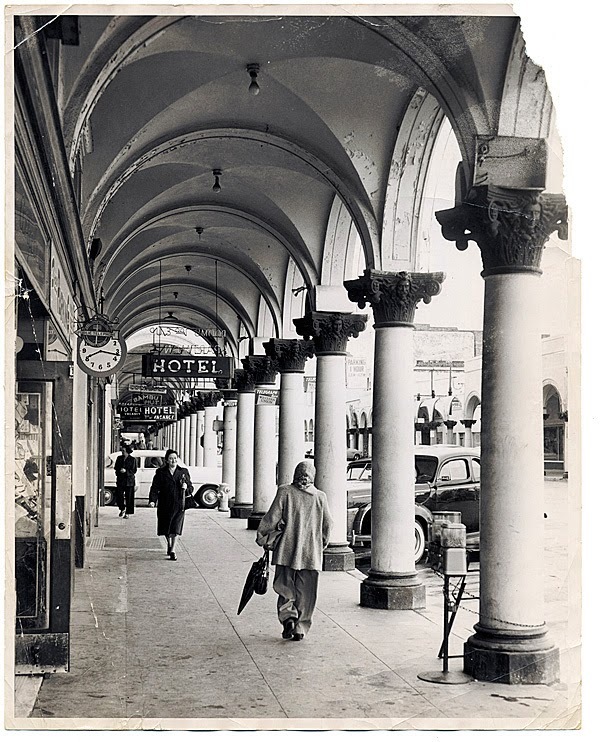 Above: An old postcard of the Windward arcade in Venice, California. 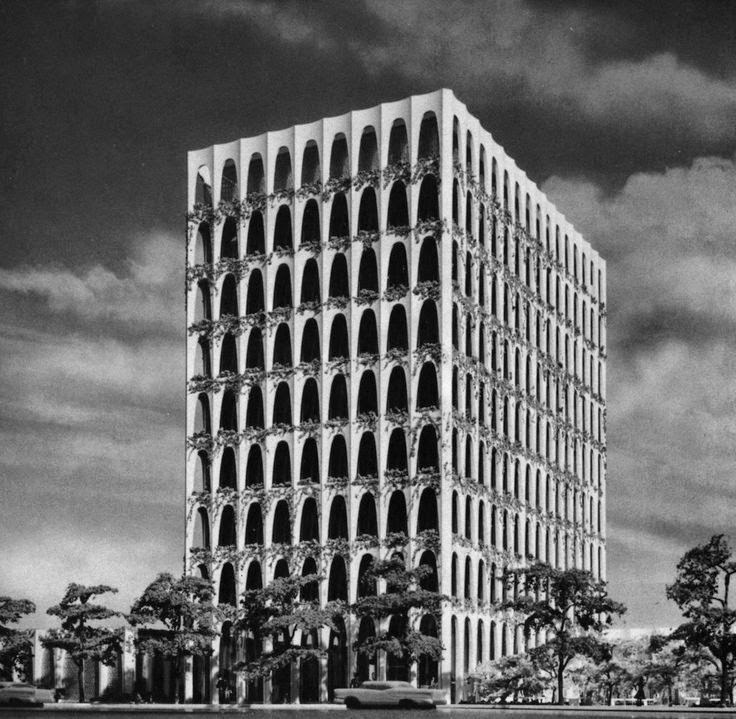 Above: Edward Durell Stone "Perpetual Savings and Loan Association", 1961. 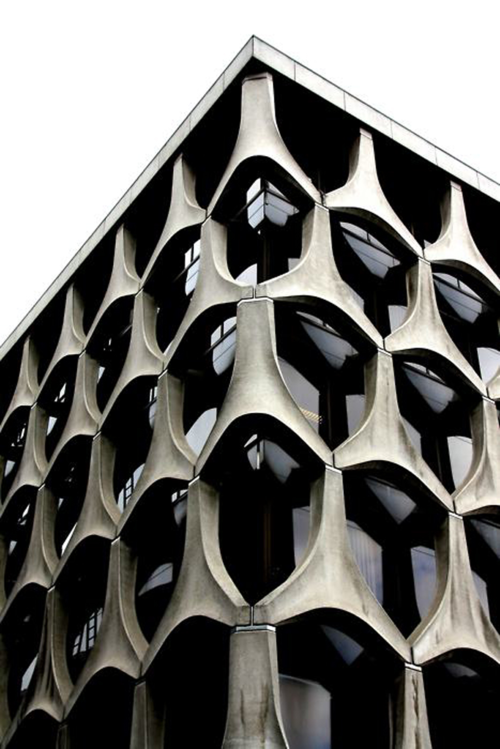 Above: The facade of a building in Brussels, on Rue du Marais. 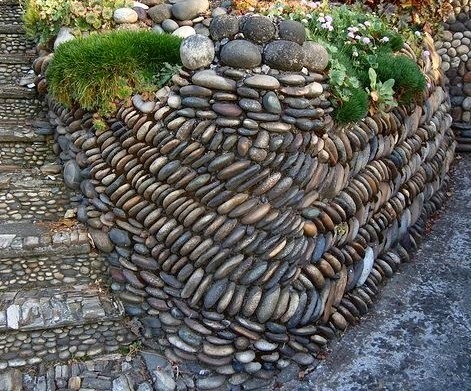 Above: Pebbled wall...like mussels clinging to rock. 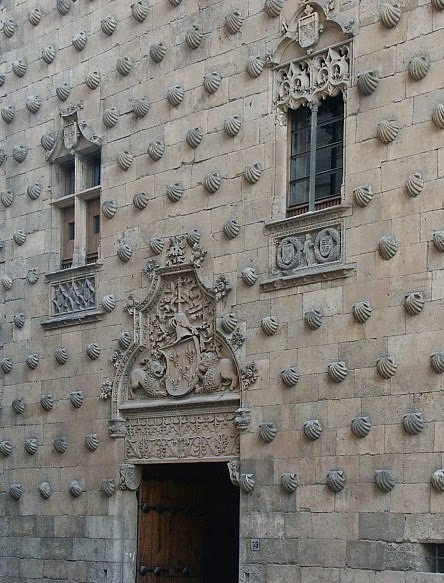 Above: The facade of "Casa de las Conchas", in Salamanca, Spain, built 1493-1517. It was commissioned by Rodrigo Arias de Maldonado, a knight of the Order of Santiago de Compostela. The shells are the symbol of the order of Santiago, as well as of the pilgrims traveling the way of St. James. 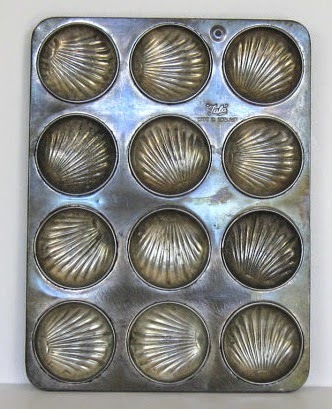 Above: Scalloped shell cookie molds. Above: Santa Monica landmark restaurant Chez Jay. 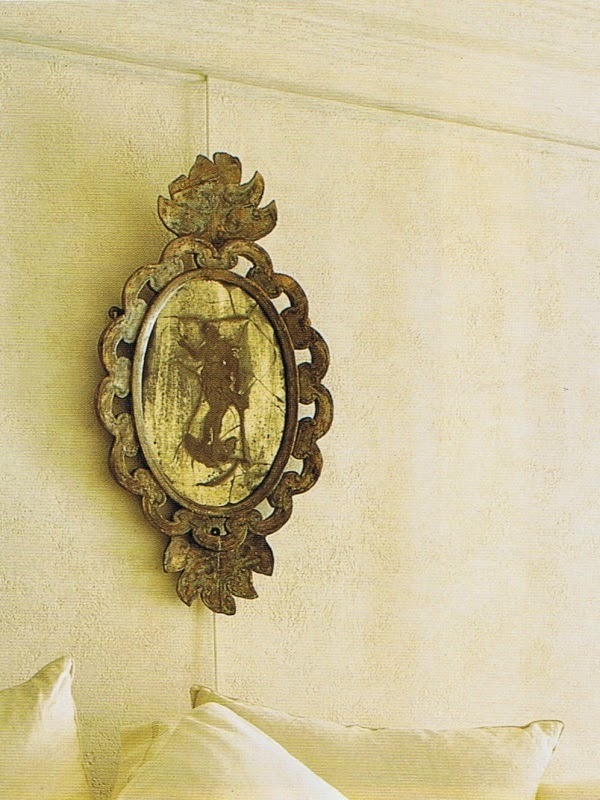 Above: At La Colombe d'Or in Vence, shell sconces obscure picture lights. 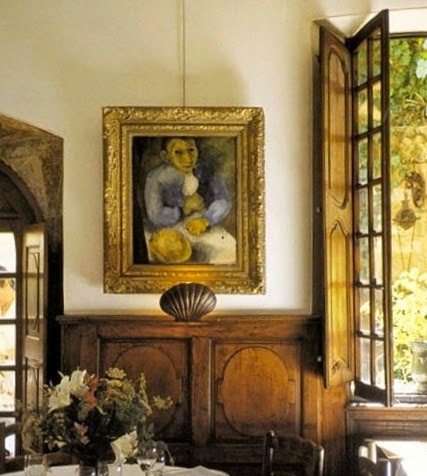 Nice post about La Colombe d'Or here. 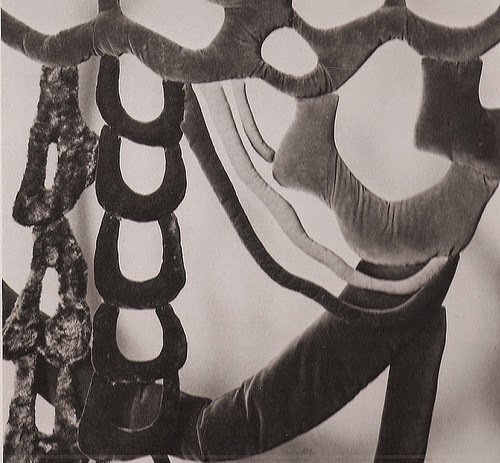 Above: This Rocaille armchair was found by Henri Matisse, and it became a favorite prop. You can see a couple of versions of it below. 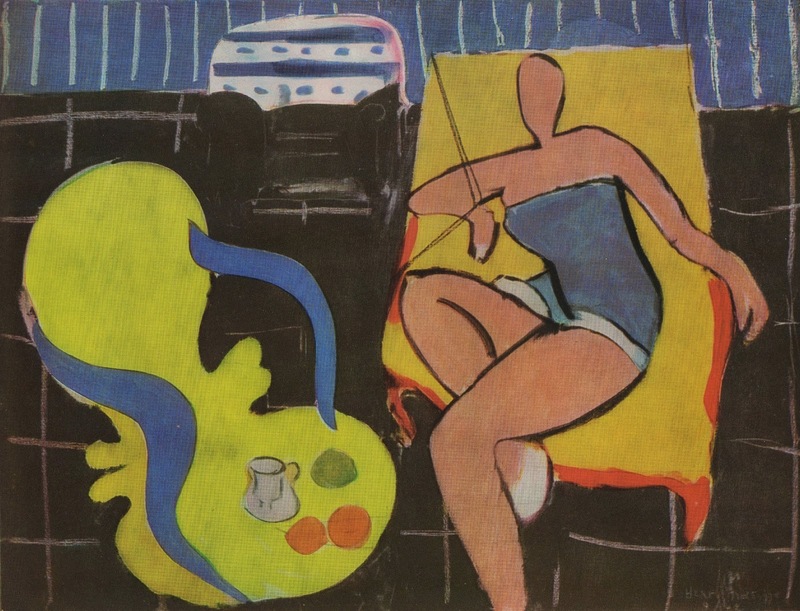 His description of having found the chair, from "Matisse at Villa Reve" published by Thames & Hudson. 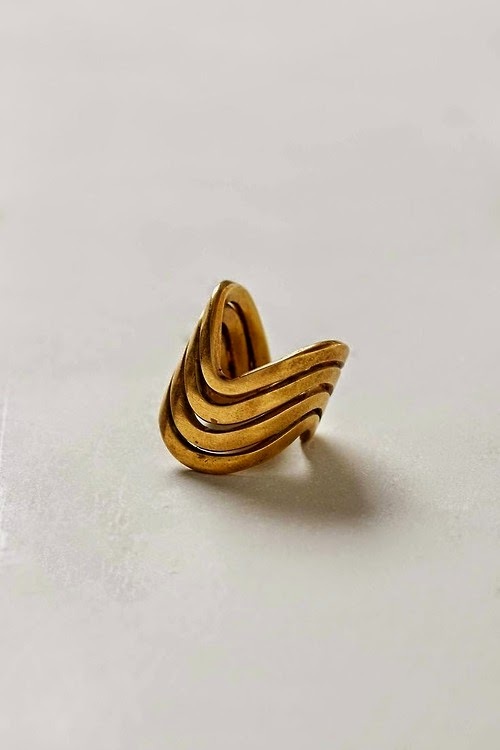 "I have finally found the object I have wanted for a year. 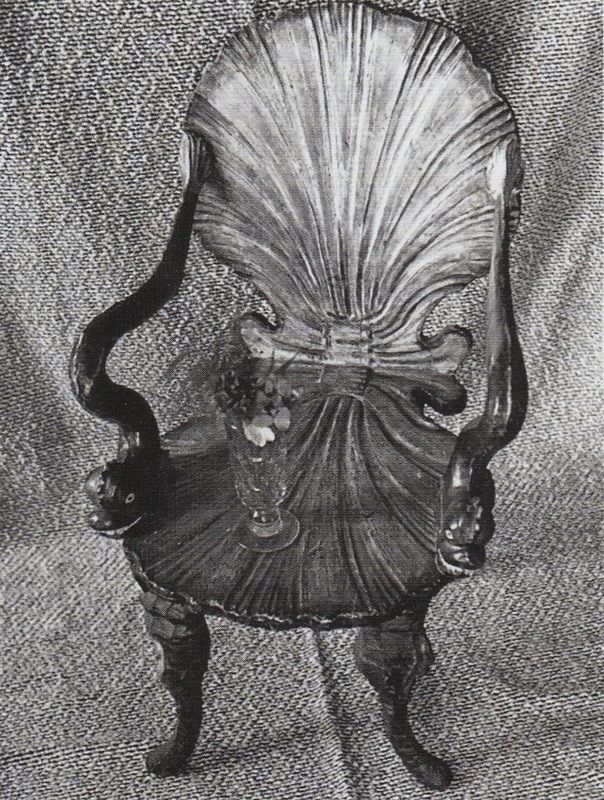 It is a Venetian baroque chair, in varnished silver, like enamel. 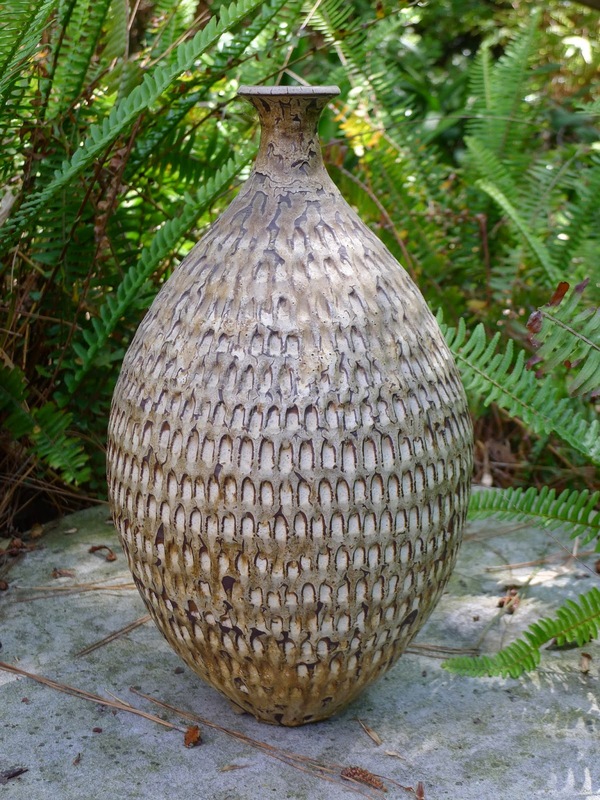 When I saw it in an antique shop a few weeks ago, I was completely bowled over by it. It is splendid, I am smitten. With this chair I shall slowly leap up for the summer when I am back from Switzerland." 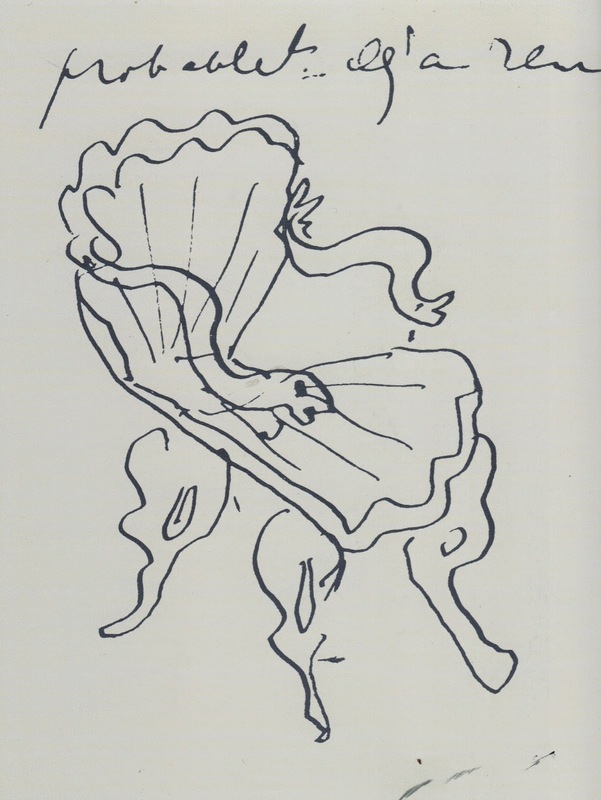 Above: A drawing that accompanied the letter about the purchase of the chair. 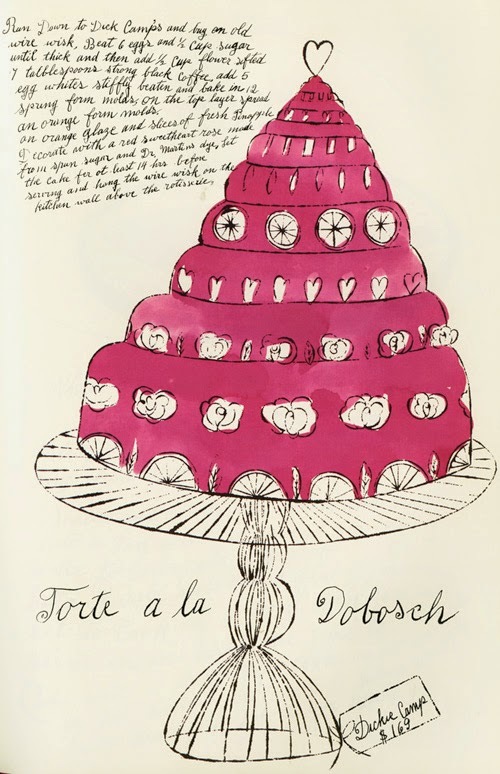 Above: A drawing from 1959 by Andy Warhol, from a limited edition humorous cookbook he and Suzie Frankfurt created, called "Wild Raspberries", with hand lettered recipes by Warhol's mother. 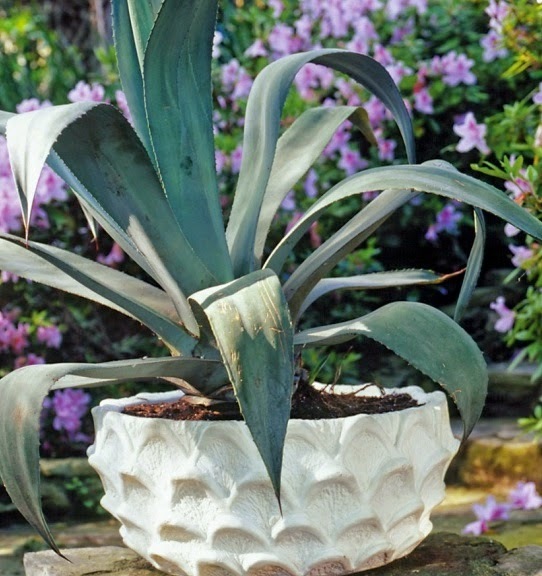 This one is much like a nautilus shell. 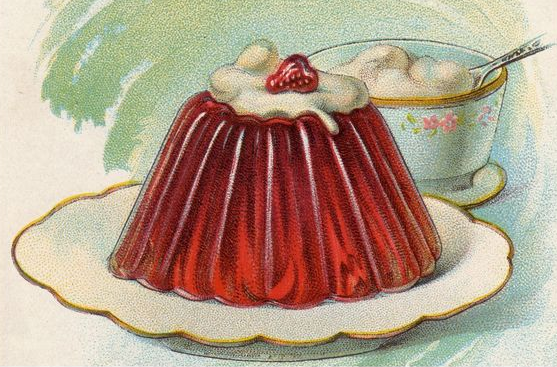 Above: A scalloped molded jello on a scalloped plate. 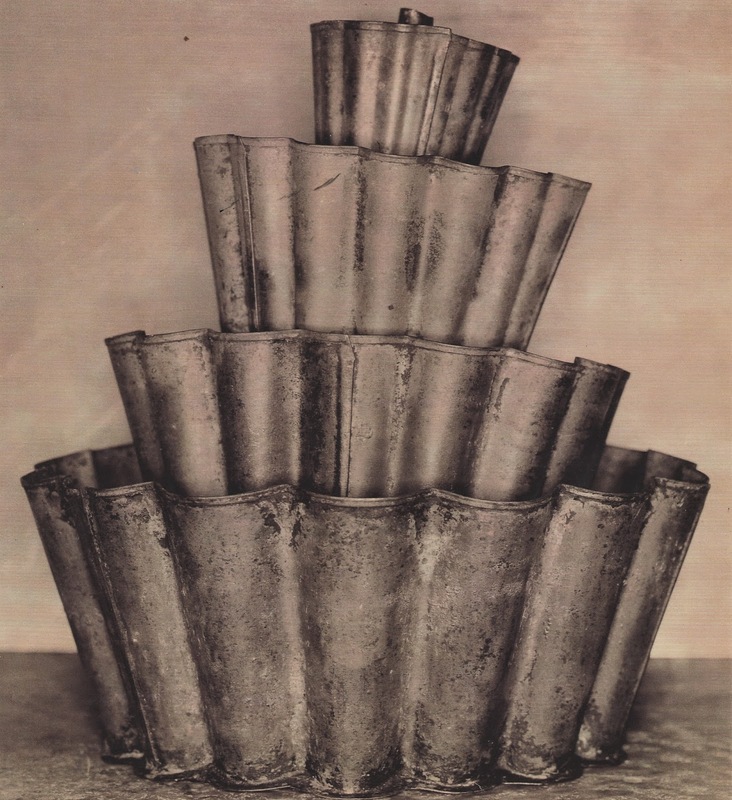 Above: Scalloped baking tins, from an old copy of Martha Stewart Living. 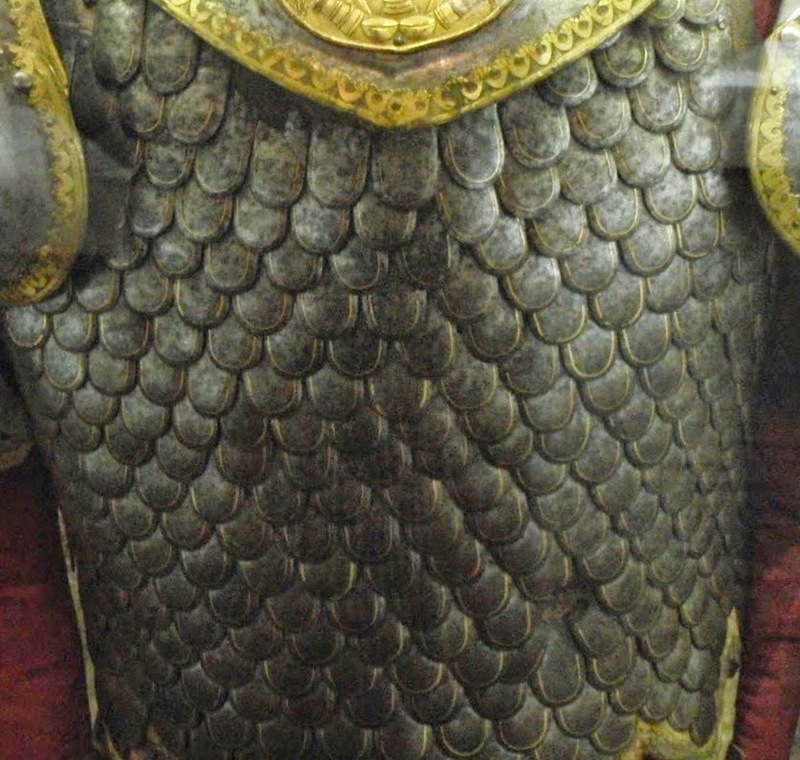 Above: Scale armor, created by attaching pieces of metal to a backing of cloth or leather. 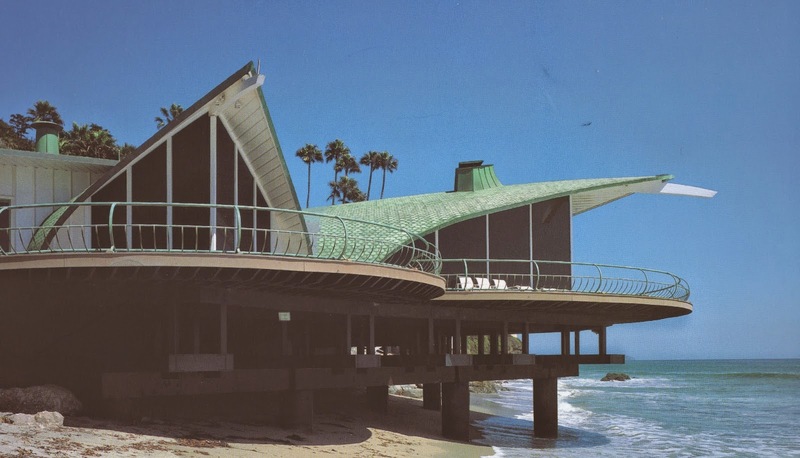 Above and below: The Cooper Wave House designed by Harry Gesner 1957-59. 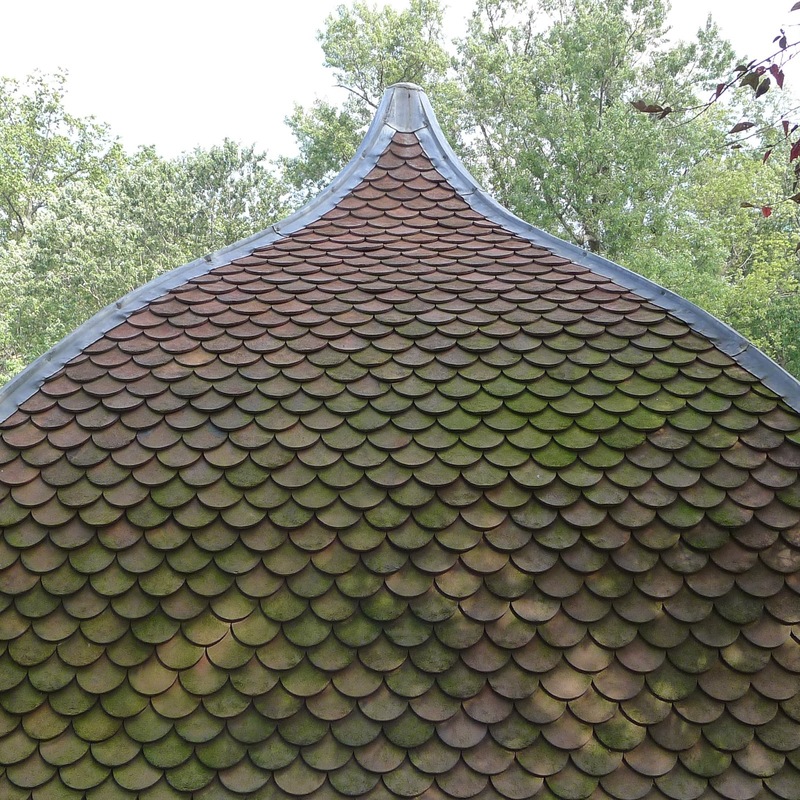 The roof is covered in copper fish scale shingles. 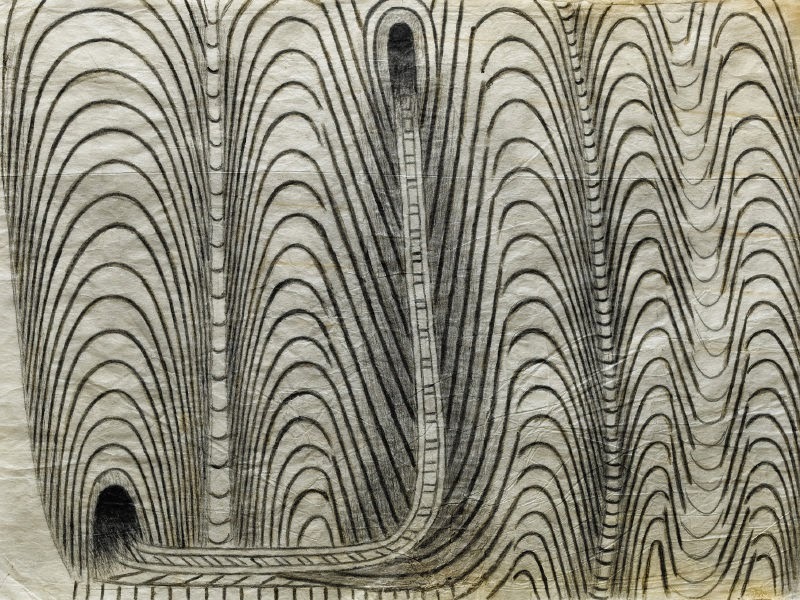 Photo above is from "Houses of the Sundown Sea: The Architectural Vision of Harry Gesner". 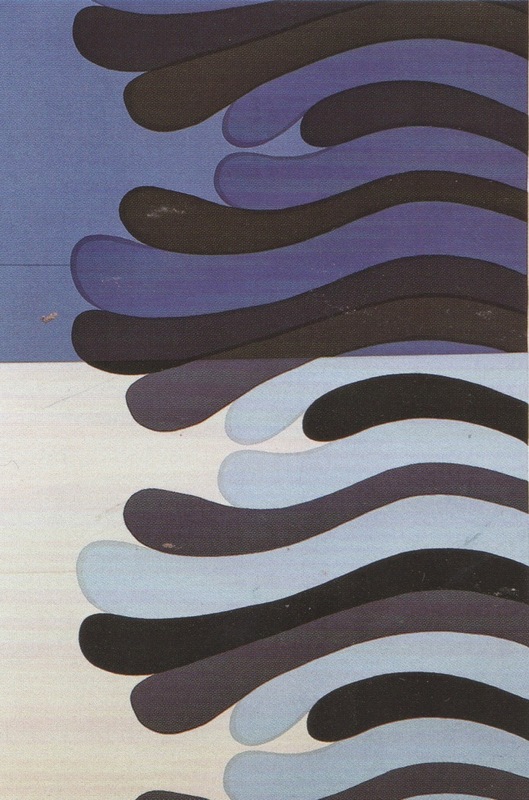 The roof is formed to suggest waves. 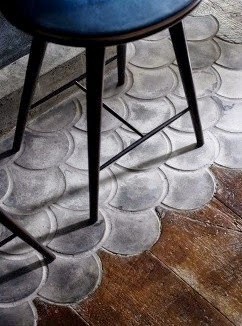 Above: The floor of The Musket Room, a restaurant and bar opened recently in Nolita via remodelista. 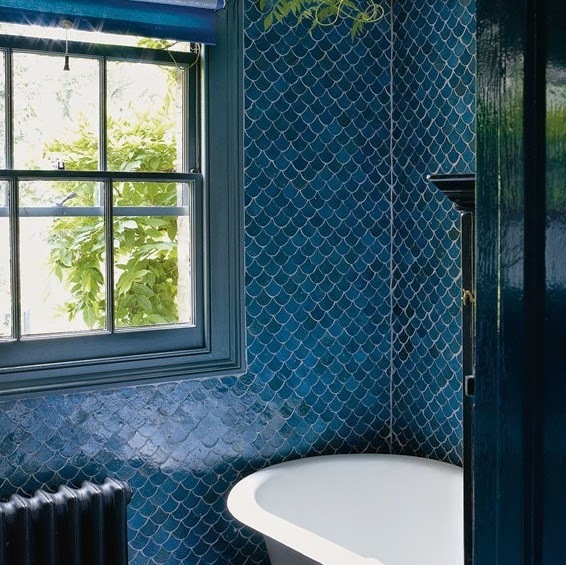 Above: Designer Faye Toogood's bathroom, with glossy indigo blue Moroccan fish scale tiles, as seen in T magazine, 11/17/2013. 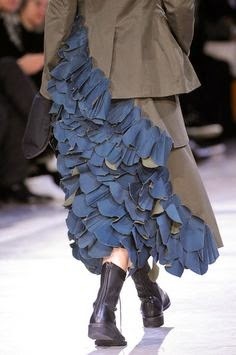 Above: Yohji Yamamoto at Paris Fashion Week Fall 2014 found here. Above: From Vientiane, Laos, found here. 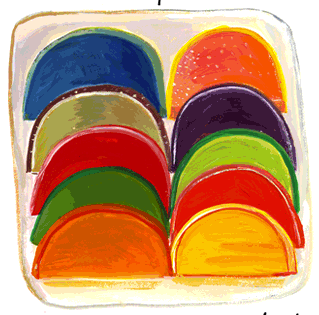 Above: From Maira Kalman's NY Time's blog, "And the Pursuit of Happiness", 10/3/2006. 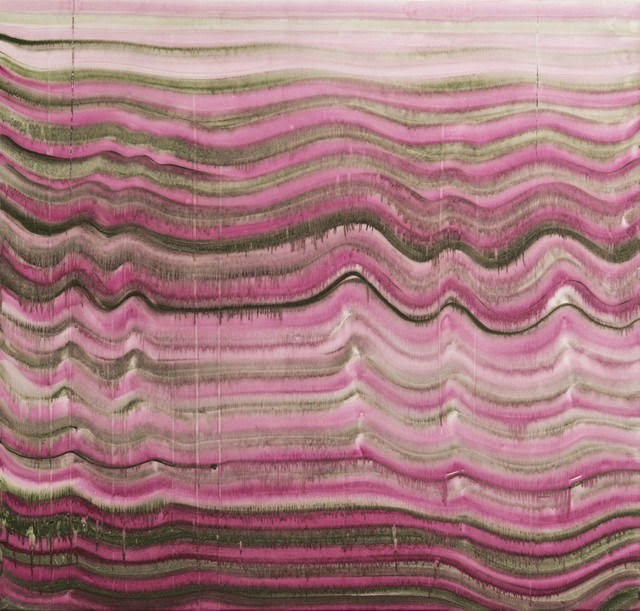 Above: Giorgio Griffa "Festone", from his show "Fragments, 1968-2012". 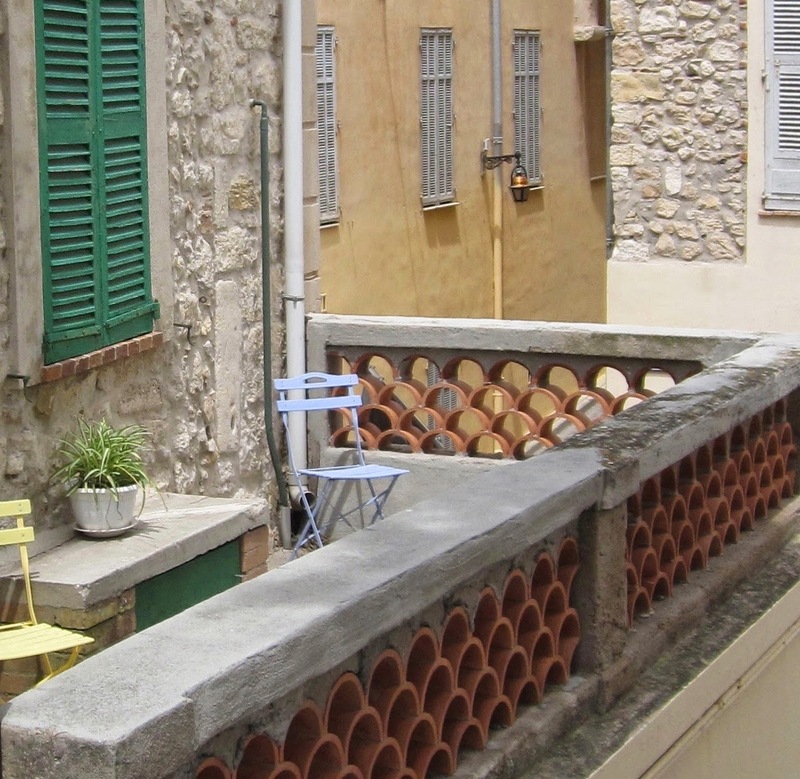 Above: Taken at La Colombe d'Or. The roof tiles, painted a variety of colors, adds to the lively feeling of the hotel. 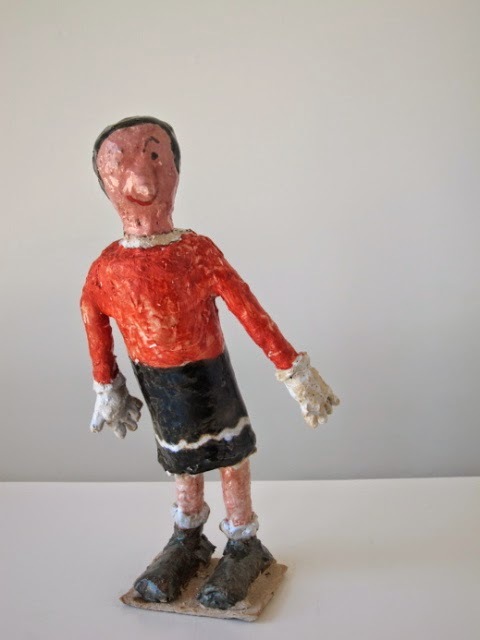 This hotel is known for all the artists who've stayed there and added their work to the collection such as Miro, Braque, and Calder. The black and grey mural is by Sean Scully. 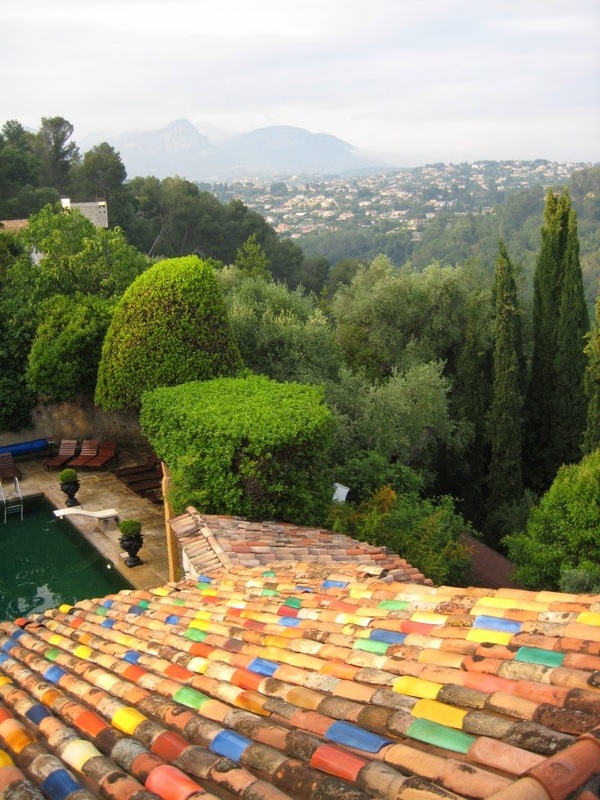 Above: View of La Colombe d'Or tiles and the surrounding landscape via remodelista. 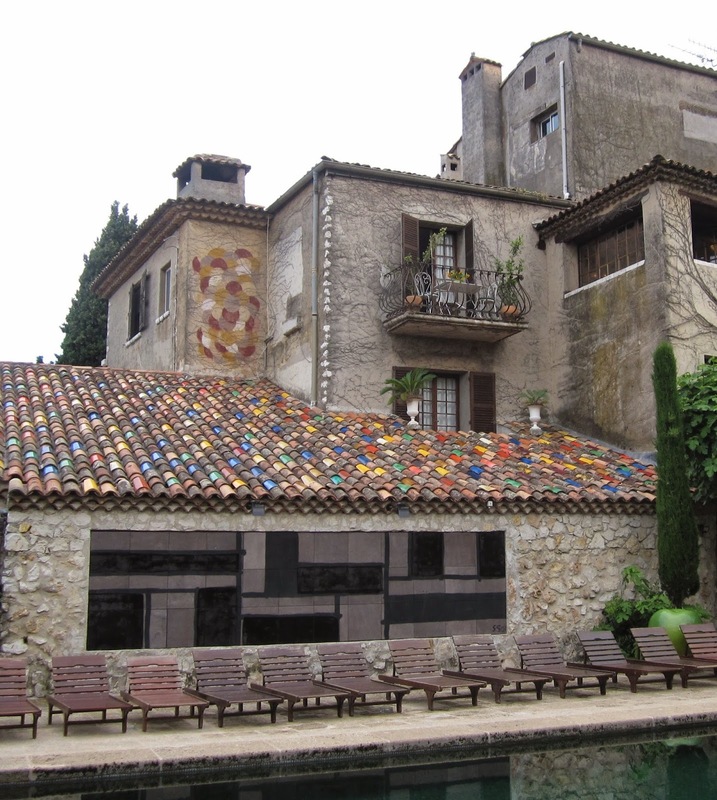 Above: Fish scale terra cotta design surrounds a terrace in Antibes, France. 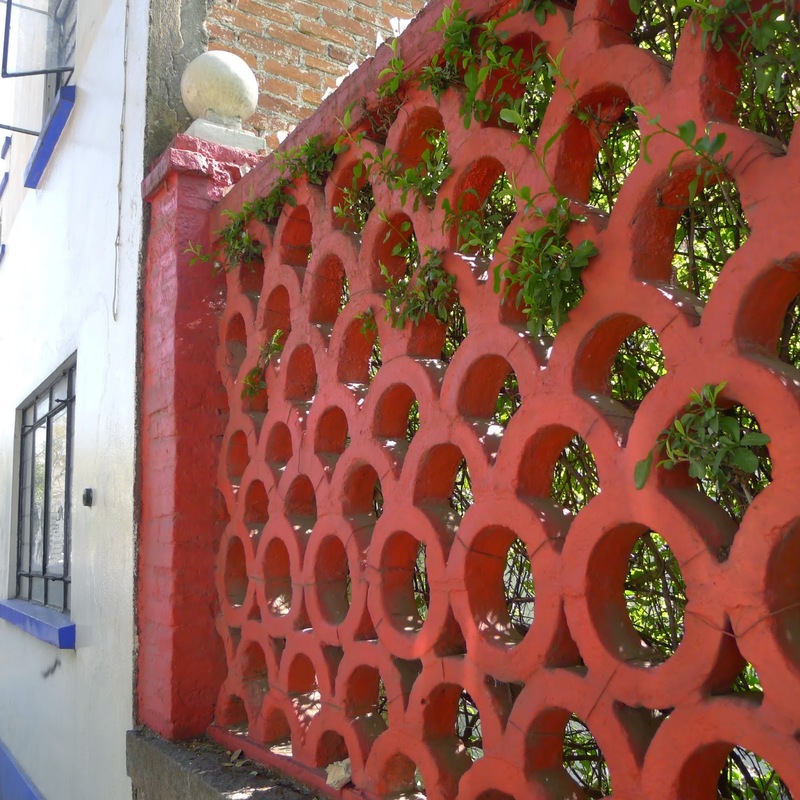 Above: Across the street from Frieda Kahlo's blue house in Coyocan, Mexico City, is this bright red garden wall. 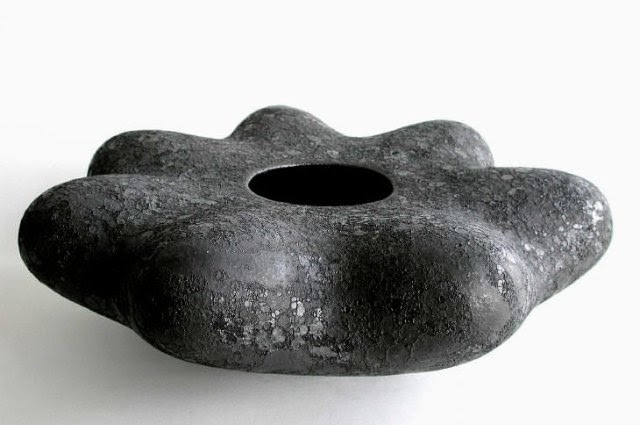 Above and below: Magdalena Suarez Frimkess, "Olive Oil", 2014, stoneware and glaze. Olive Oyl is known for the white details on her skirt and neckline, but Frimkess has made them scalloped and changed the spelling too. 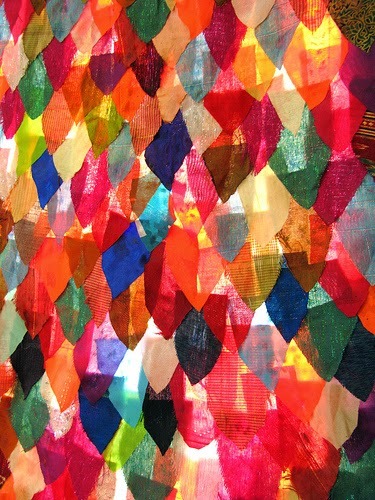 Magdalena Frimkess currently has work in the "Made in LA" show at the Hammer Museum. 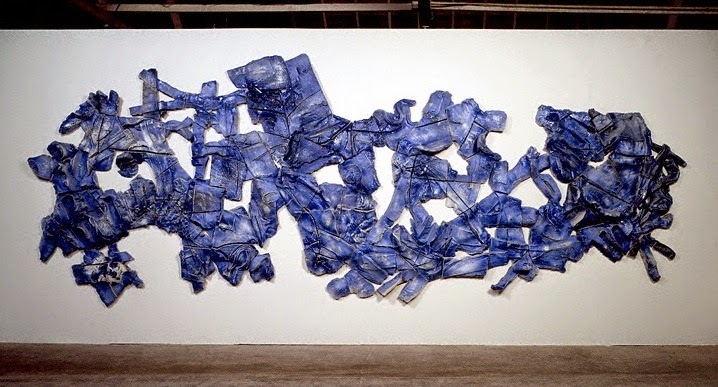 There's an article in the NY Times about her and her husband Michael Frimkess's work in the show here. 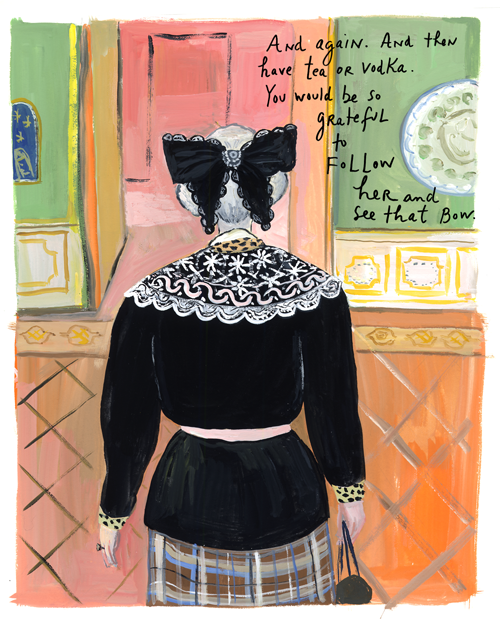 Above: A favorite Maira Kalman illustration of an elderly woman at the Hermitage Museum, wearing an over-scaled bow and a beautiful scalloped edge shawl. The bow in black on white hair, and the shawl in white on a black sweater make a nice contrast. Above: At John and Dominique De Menil's house in Houston, Charles James designed the interior choosing this serpentine sofa to contrast with the clean modern lines of Philip Johnson's architecture. 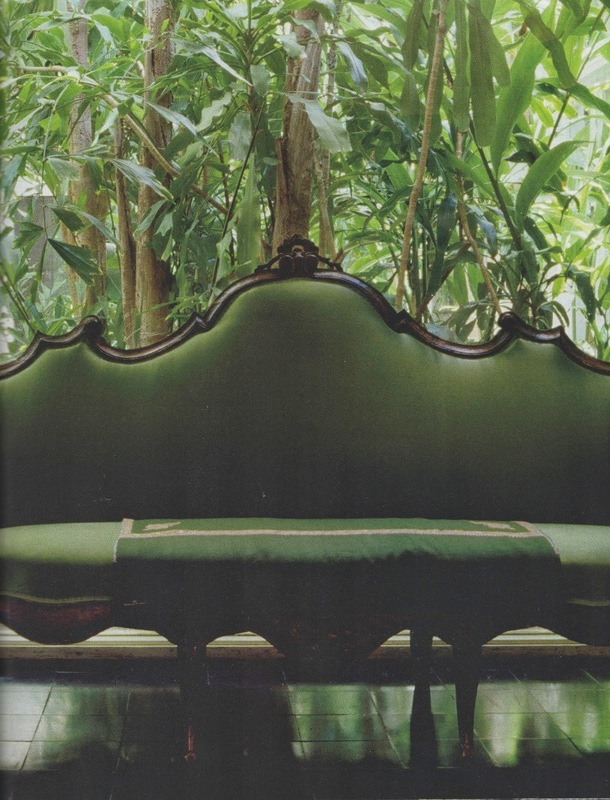 From House Beautiful 6/2014. 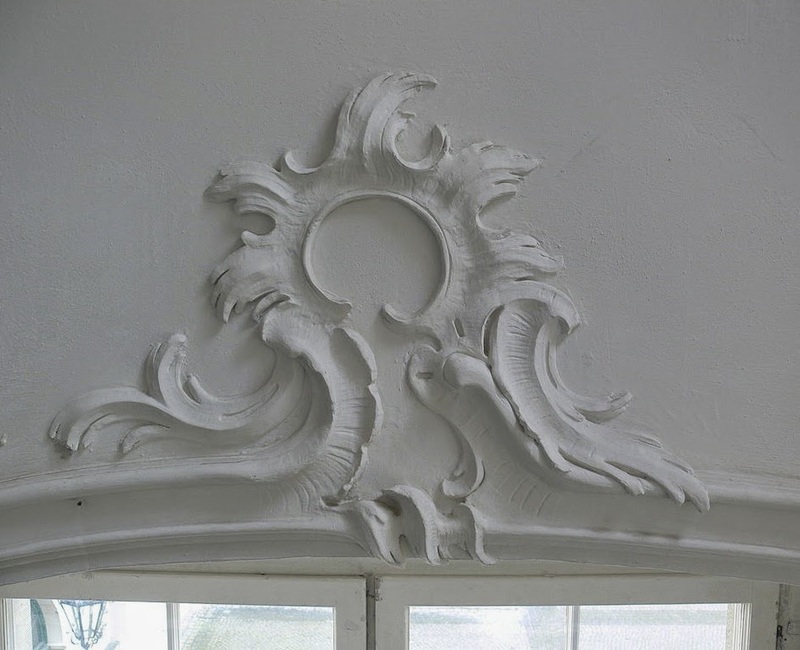 Above: Rococo plasterwork from the mid 1700s in Germany. 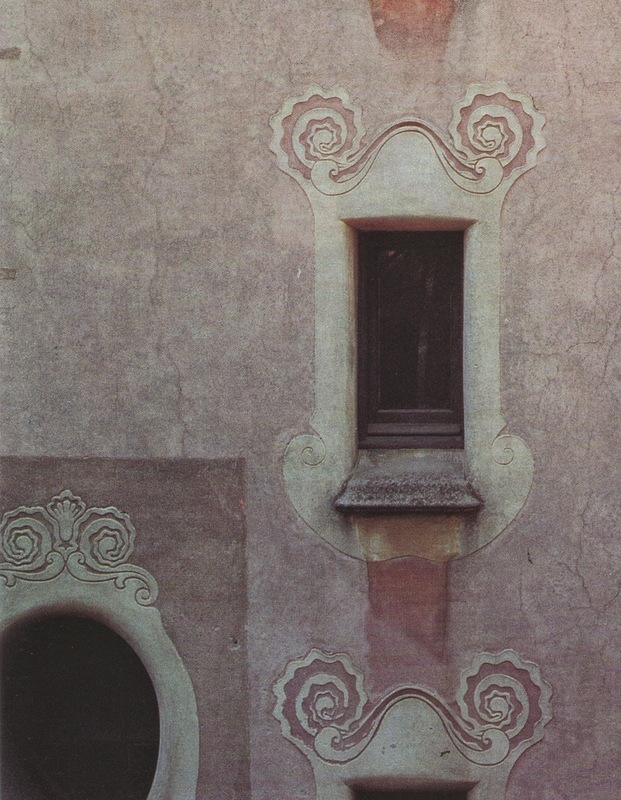 Above: Spanish Baroque detailing in Valencia, late 19th century, from the book "Spain, the Best of Spanish Interiors, Gardens, Architecture, and Landscapes". 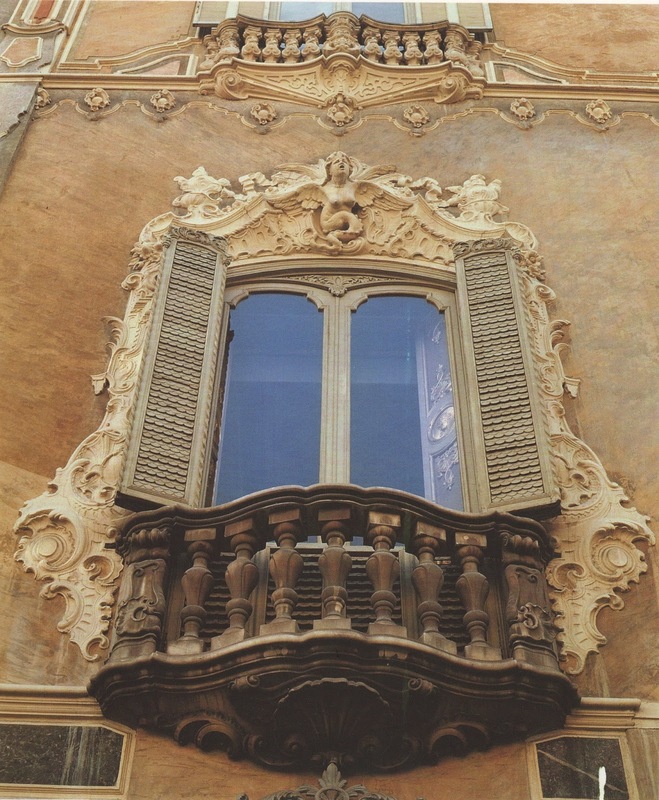 Above: From the same book about Spanish design as above, a beautiful example of window detailing. 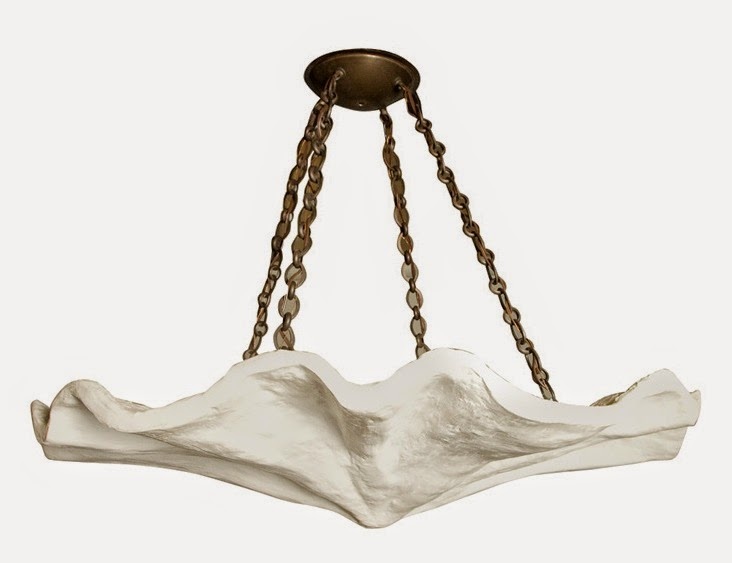 Above: Large plaster ceiling pendant light fixture, after Diego Giacometti for Jean Michel Frank. 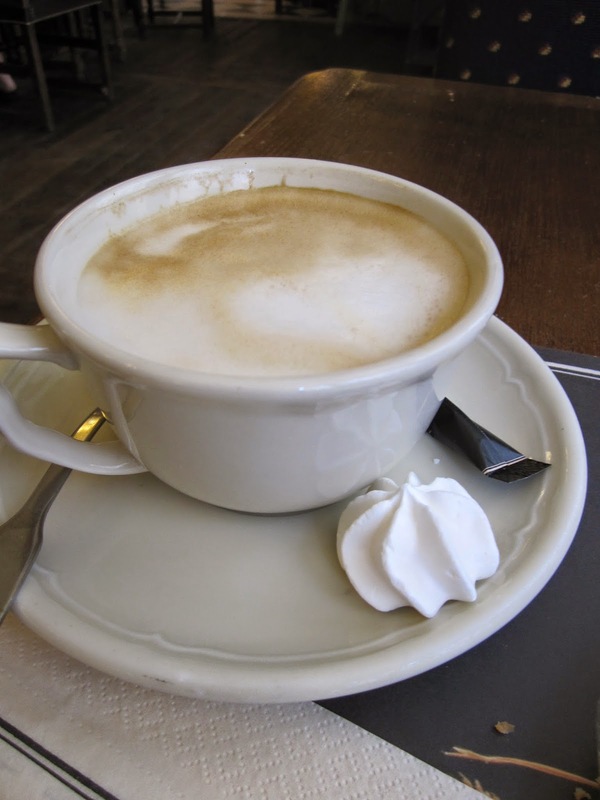 Above: Cafe au Lait in Paris served with a whitecap sweet. 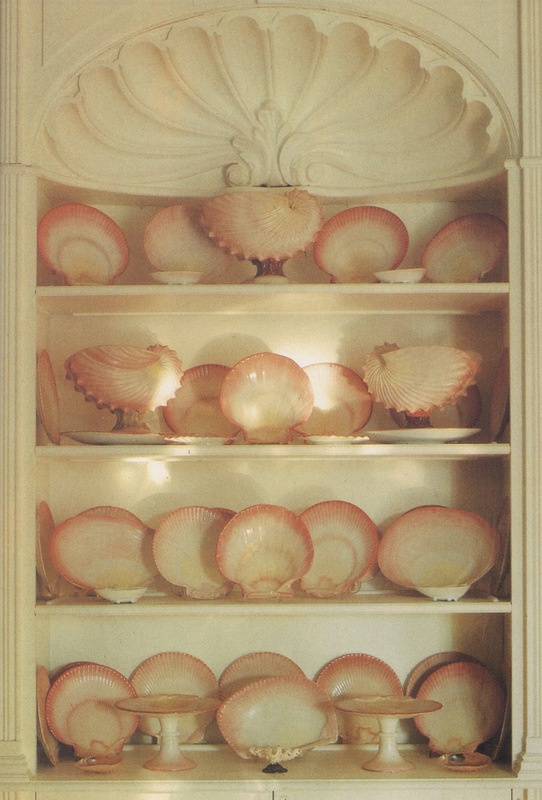 Above: Wedgwood pearlware shell plates, below a shell niche cap, from "Living With Ceramics"published by Rizzoli. Above: Taken recently at the Getty Villa, Roman glass from 1-100 A.D. 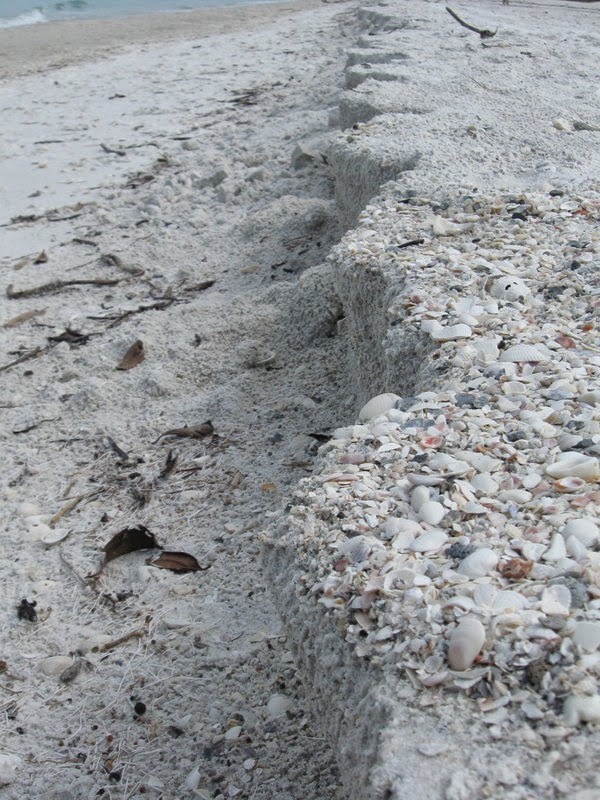 Above: Scalloped sand shaped by waves. 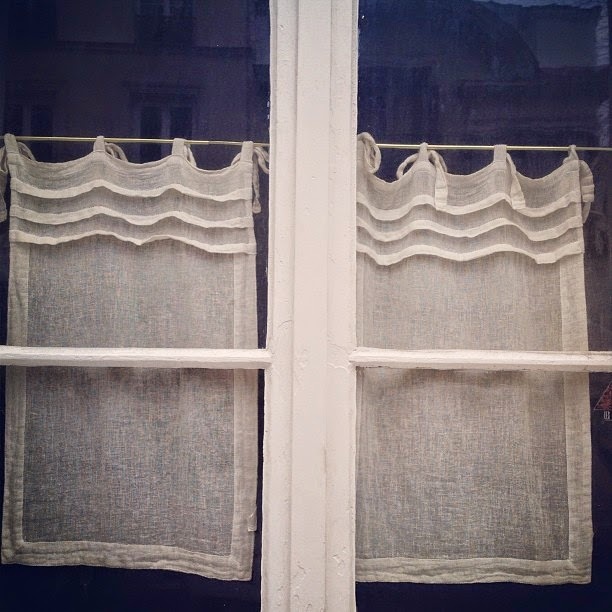 Above: Curtains that have become wave like by the way they hang. Photo by Jill Lauck. Above: Taken recently at the Getty Villa, this Roman "Head of Apollo", 175-200 A.D., has hair that seems to be ripples of water. 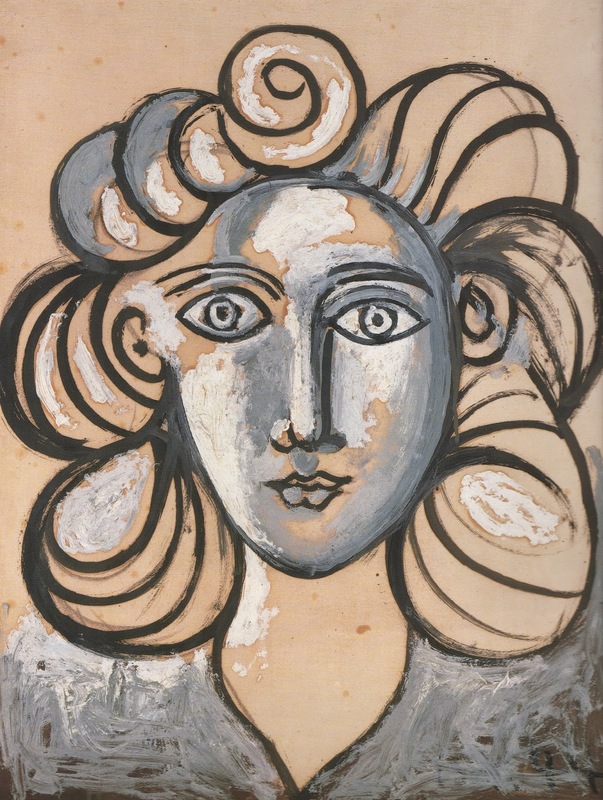 Above: Pablo Picasso "Portrait de Femme" 1944 (Francoise Gilot) It's almost as though her head is surrounded with sea shells, with clothing of sea froth. 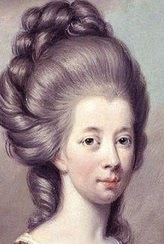 Above: Hugh Douglas Hamilton, portrait of Emilia Olivia St. George, the Duchess of Leinster, 1740-1808. Her hair is like a tumble of a wave about to break. 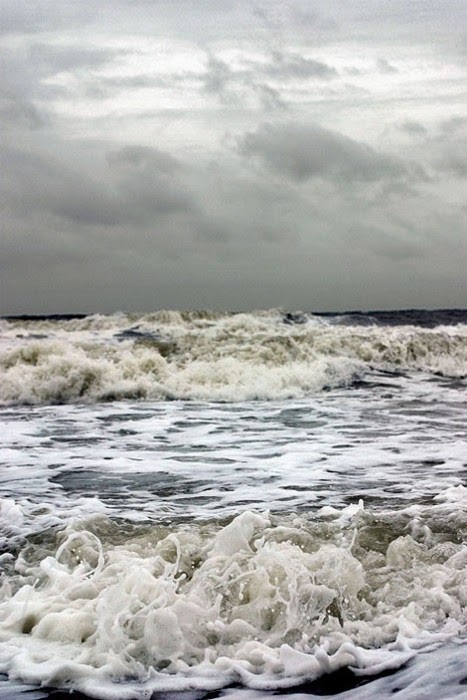 Above: Frothy waves. I believe this is taken by Antonio Mora, but I've only seen his version of this that has been combined with a dream like image of a face. 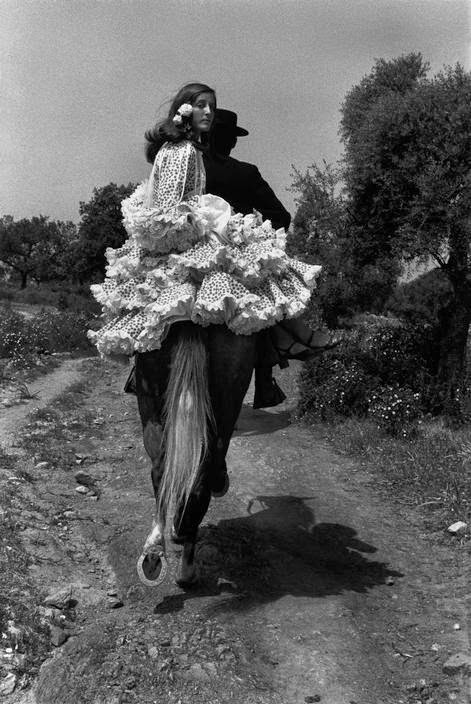 Above: Photo by Josef Koudelka, Spain, 1973. Above: Judith Jamison dancing in the Alvin Ailey piece "Wade in the Water" from "Revelations". 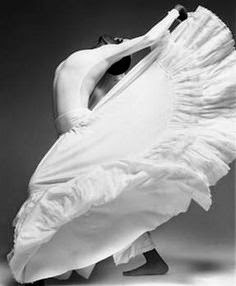 Photo by Patrick Demarchelier. 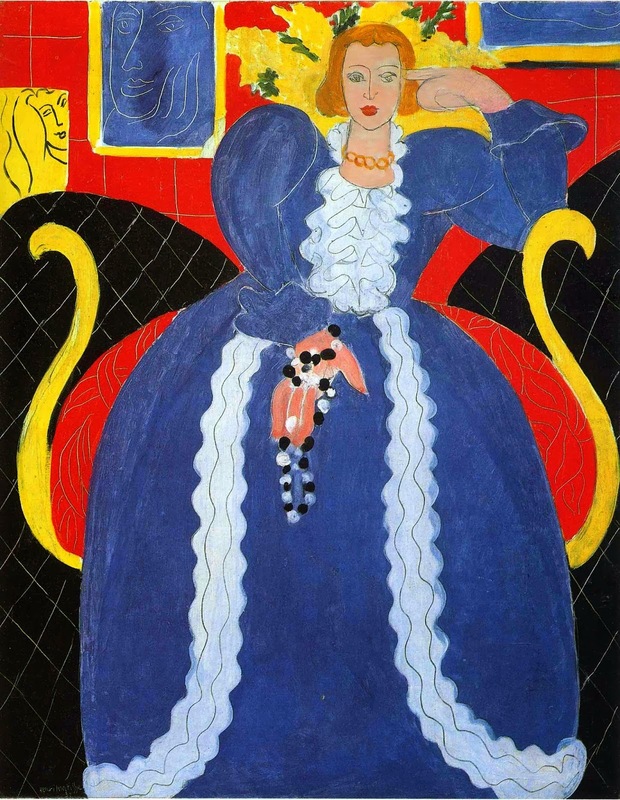 Above: Henri Matisse "Woman in Blue", 1937 at the Philadelphia Museum of Art. 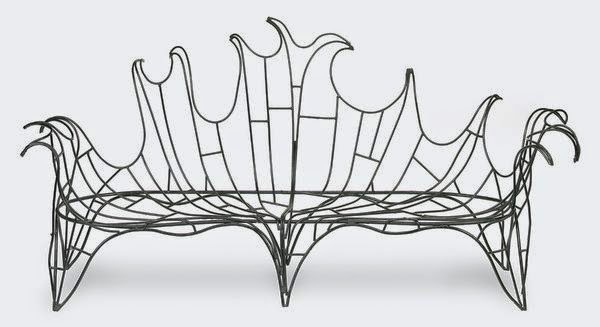 Above: Wrought metal settee by Tony Duquette, 1960s. Above: Koike Shoko "Shape of Water", 2005, at the Metropolitan Museum of Art. 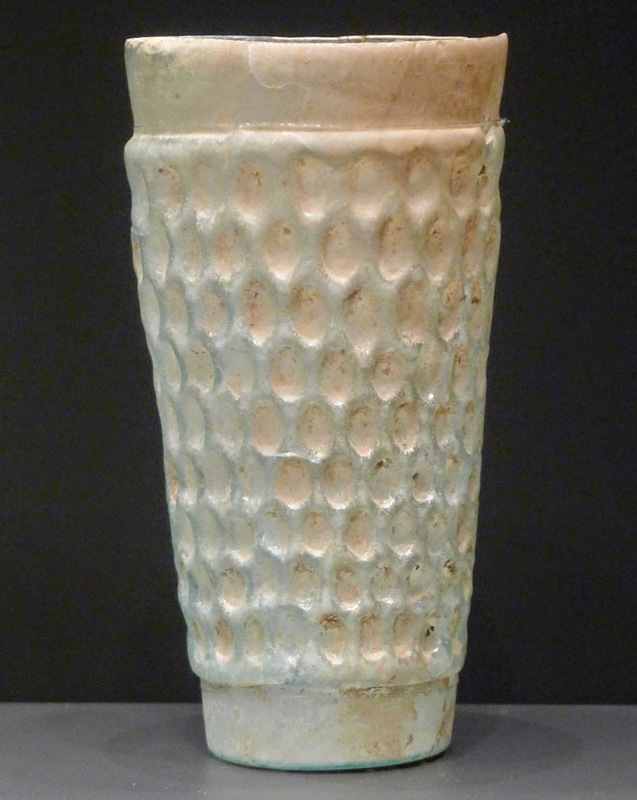 Above: Doyle Lane vase, 1960s. 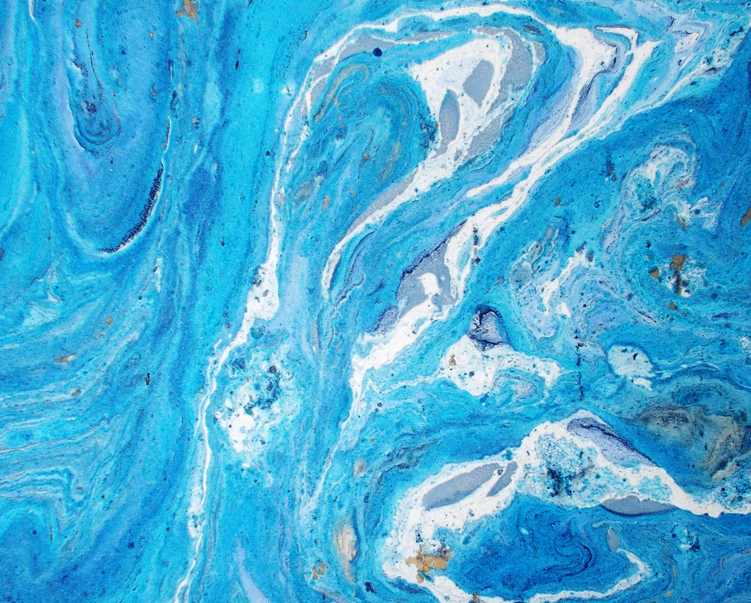 Above: Florentine marbled paper from Il Papiro found here. 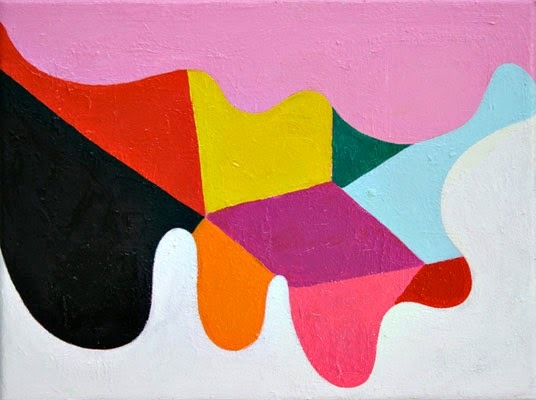 Above: Andrew Masullo #5242, 2010. 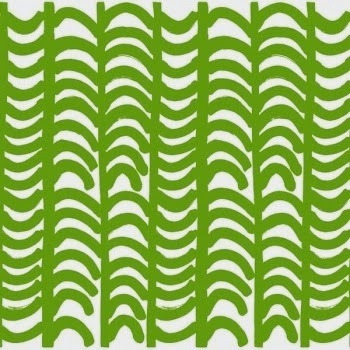 Above: Marimekko "Albatrossi" pattern 1967, designed by Maija Isola. 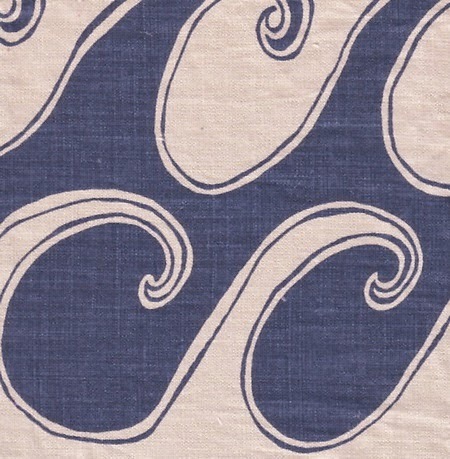 Above: "Waves", currently in production at Borderline fabrics. 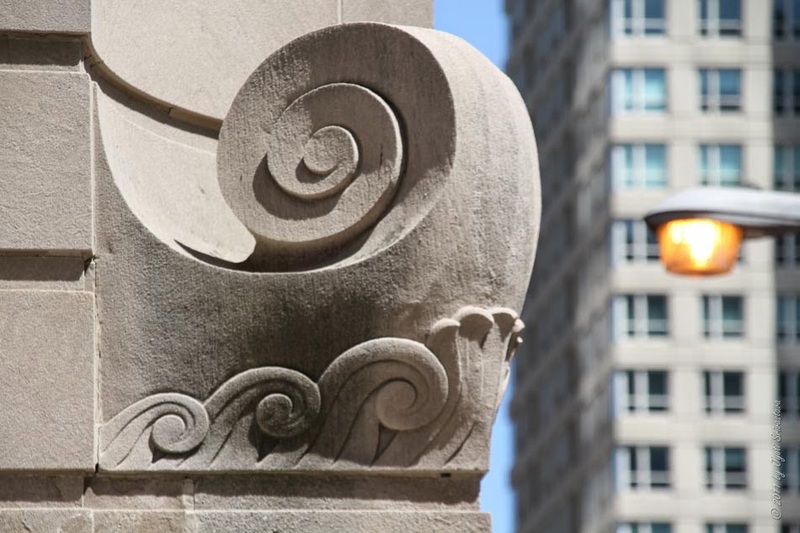 Above: A stone wave motif on the 2nd floor of The Women's Athletic Club of Chicago, at 626 North Michigan Avenue in Chicago, a landmarked building completed in 1929, designed by Philip Brooks Maher. It was the first athletic club for women in this country. 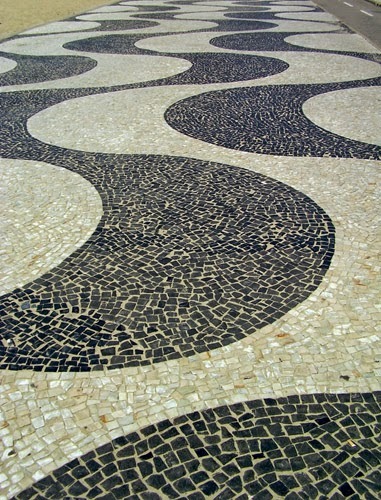 Above: A detail of wave motif stonework on the Chicago Riverwalk, one of many great pictures of wave detailing on the Riverwalk I found here. 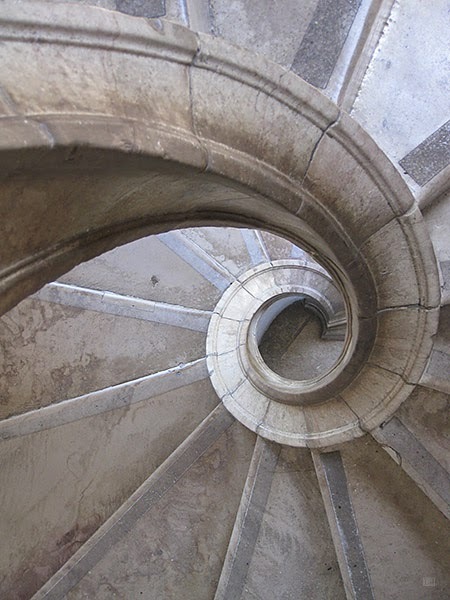 Above: This stone spiral staircase in the Palacio Nacional de Sintra, Portugal, is like the inside of a nautilus shell. 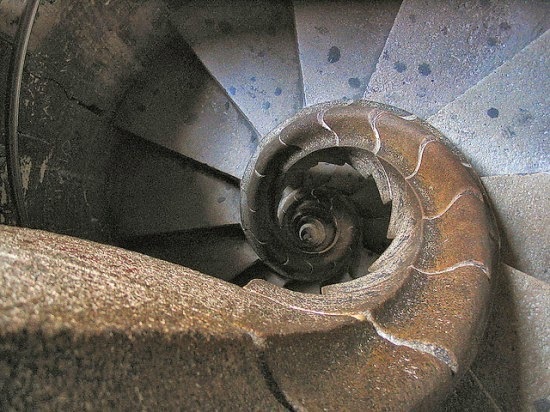 Above: This spiral stair is designed by Antonio Gaudi, in La Sagrada Familia. The project started in 1883 and is still under construction. 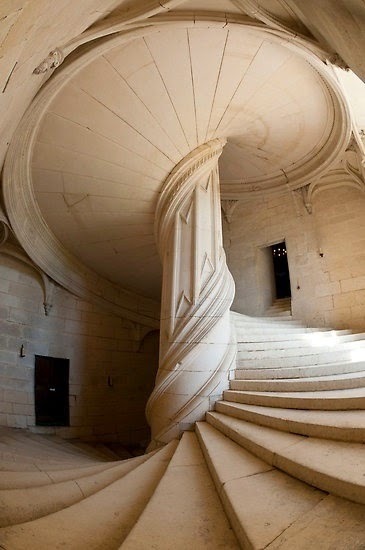 Above: The da Vinci staircase, Chateau de la Rochefoucauld, France, 1520. 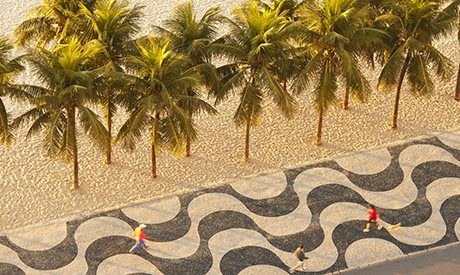 Above and below: Black basalt and white limestone are used to make this wave patterned walk at the Copacobana beach in Rio de Janeiro. 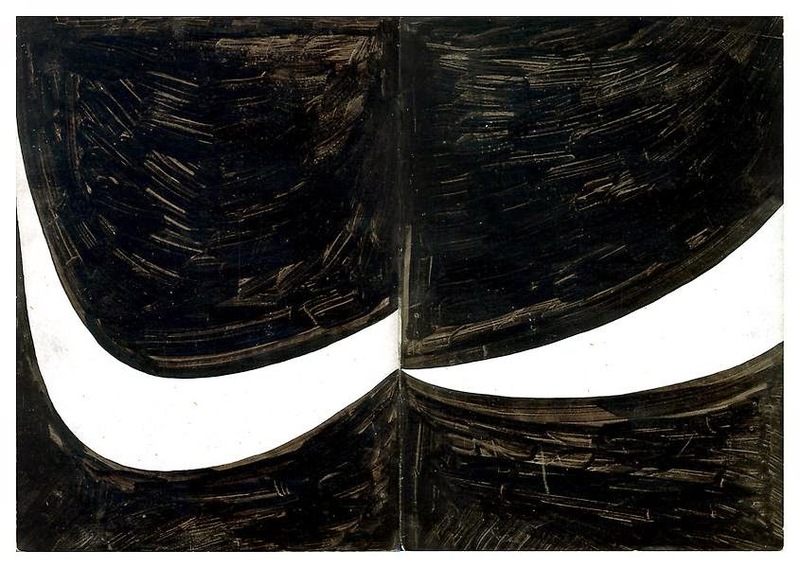 Above: Ellsworth Kelly, study for "Atlantic", 1954, from the show "Drawings on a Bus-Sketchbook 23, 1954" at Matthew Marks November 2006-January 2007. 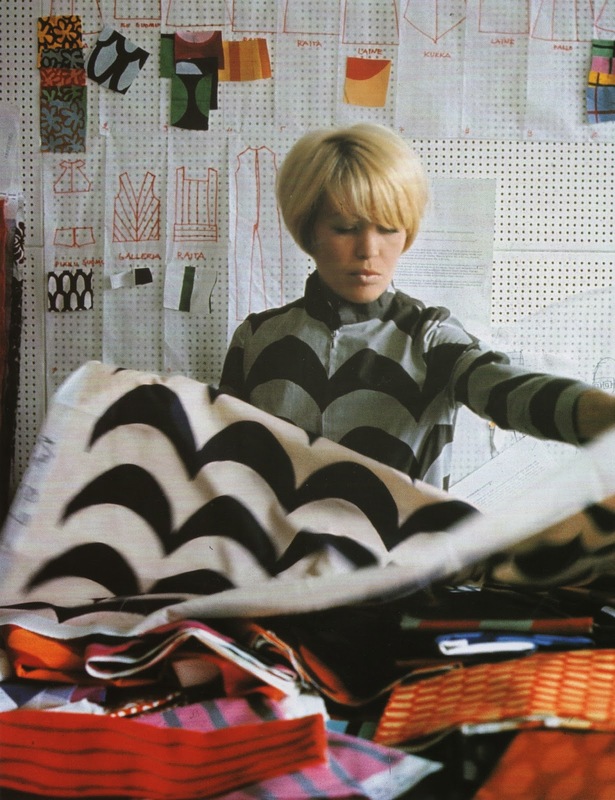 Above: Marimekko clothing designer Annika Rimala, holding "Laine" fabric. 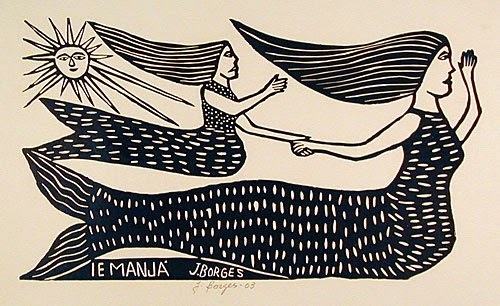 Above: Jose Francisco Borges "Iemanja" woodcut on paper. 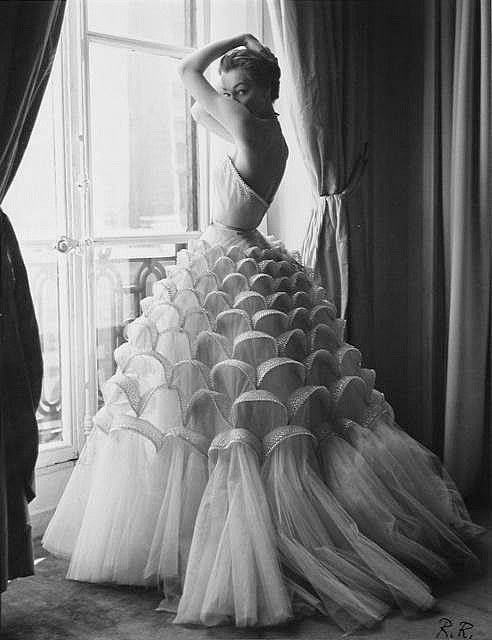 Below: Either Ivy Nicholson or Jean Patchett, photographed by Regina Relang for Vogue, in a wedding gown designed by Jacques Griffe, 1953.